When time is of the essence this treatment will revitalize your skin's radiance, leaving it healthy, cleansed and toned. Includes exfoliation, mask, and massage. Try an Express Facial during your lunch-hour why don't you!? Instant Glow Facial imparts intense hydration and smoothness to your complexion, creating a healthy and youthful glow. Glow vibrantly and invigorate your senses with our tropical scented products. There's a polish for brightening and a rich luxurious lotion used to massage the face, upper body, hands and feet. A hydrating mineral mask is applied to restore the freshness and vitality of the skin. Rose hip oil and aloe vera calm and hydrate the skin for total rejuvenation resulting in a "zensational", youthful, vibrant glow. Includes cleansing, steam, extractions, mask and massage. Deep poor cleansing facial targets specific problems such as breakouts, dehydration, and fine lines. Your skin will be glowing and clean. Recommended for anyone looking for an extreme clean. This is a luxurious and enriching antioxidant skin treatment that nurses damaged tissue back to health with a trans-dermal vitamin C serum and high frequency. This sophisticated treatment diminishes fine lines, smoothes out wrinkles, repairs environmental damage and minimizes age spots. The trans-dermal vitamin C affects all 3 layers of the skin invigorating the cells and enhancing their youthfulness. A truly soothing and calming facial which is particularly beneficial to sensitive skin that needs special nourishment to eliminate irritation and inflammation. The treatment uses the properties of pre-biotics and natural botanicals of arnica and chamomile to help calm the skin and enforce its natural barrier. Combing the therapeutic hands of your therapist with cold marble stone, this is an intensely soothing and sensorial facial to encourage your natural radiance. This anti-aging facial begins with an ultrasonic exfoliation to soften and renew the skin followed by an oxygen infusion to restore your natural glow and concludes with a non-surgical facelift. In the end your skin will be revitalized and luminous! A worthwhile addition to any of our facials. A professional treatment created for the care of the eye contour area; the most delicate zone of the face. It helps reduce existing lines and curb future signs of coetaneous aging. Wrinkles and dryness are less apparent and circles and puffiness are diminished! Give teens something to smile about...great skin! Teen years can be tough, but there is something that can help teens feel positive about themselves, a facial. It can prevent breakouts before they happen. Even better, this simple gift will last a lifetime, promoting skincare hygiene and habits early. Helps skin from environmental damage. Treatment begins with a thorough skin analysis and consultation, then a deep poor cleansing. Next a dynamic enzyme treatment with steam digests surface debris. After the skin has been cleansed and balanced, the facial continues with a soothing mask ending with a moisturizer. Our Para-Medical Esthetician helps you achieve that maternal "glow" with a facial that addresses the unique skin needs of expectant moms. In addition to a customized facial, let us pamper you with massage to your hands, arms, neck, and shoulders. This treatment will bring relief to skin stressed by a daily shaving routine and the damaging effects of the environment. A deep cleansing followed by an enzyme peel and extractions will revitalize your skin. 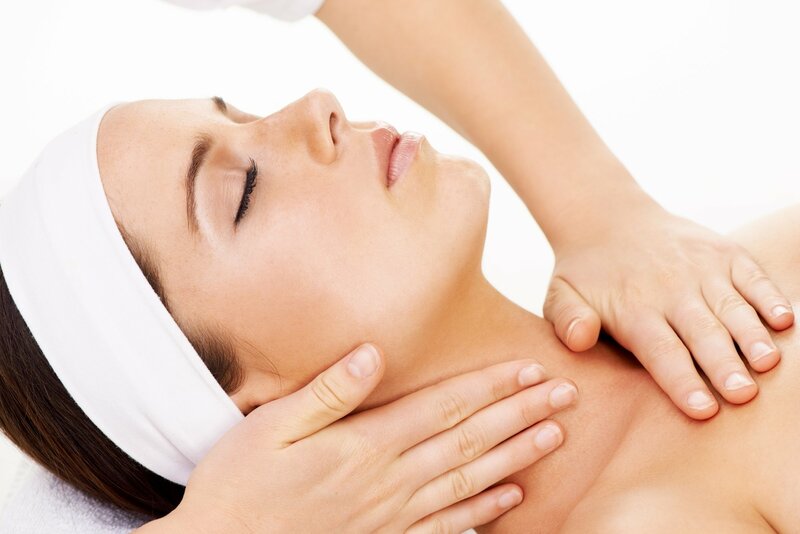 The face, neck and shoulder massage will release tension and stress. A facial for your back. We will cleanse and give your back a sea salt scrub to help exfoliate the tougher skin on your back. Extractions will be performed if necessary followed by an upper body massage and detoxifying or hydrating mask. Rejuvenate and repair mature skin with a gentle Lactic Acid Peel and vitamin rich serum application. Improves elasticity and brightens dull, dehydrated, sun damaged skin. The intensive wrinkle reducer dramatically reduces the appearance of lines and wrinkles with powerful exfoliators, oxygen and Laser Skin Tightening. It is a clinically proven facial that will leave your skin brighter and firmer after just one treatment. A revolutionary treatment that provides global results for hyperpigmented skin. High concentrations of effective whitening and lightening active ingredients; brilliantly formulated, achieve astonishing results with Laser Photofacial. A unique treatment that evens skin tone and minimizes pores to reveal a completely uniform complexion. A luxurious cocktail of skin friendly acids provides an amazing immediate and cumulative corrective effect. A medical skin care treatment that exfoliates and rejuvenates the skin through chemical peel and microdermabrasion resulting in luminous skin. Although, Laser Hair Treatments can be reduced, it also can be permanent for some Patients. Lasers are useful for removing unwanted hair from the face, leg, arm, underarm, bikini line, and other areas. Lasers can selectively target dark, coarse hairs. You should also avoid sun exposure for six weeks before and after treatment. Sun exposure makes laser hair removal less effective and makes complications after treatment more likely. It will also be necessary to protect the outer layers of your skin with a cold gel or special cooling device. This will help the laser light penetrate the skin.When the procedure is completed, you may be given ice packs, anti-inflammatory creams or lotions, or cold water to ease any discomfort. You may schedule your next treatment six to to eight weeks later. You can continue getting treatments until hair stops growing. For a day or two afterward, the treated area of your skin will look and feel like it's sunburned. Cool compresses and moisturizers, triple antibiotic, aloe may help. If your face was treated, you can wear makeup the next day unless your skin is blistering. Over the next month, you may not visually see, your treated hair will eventually fall out. Wear sunscreen for the following month, and thereafter every 30 minutes you will be outside to help prevent temporary changes in the color of the treated skin. Result may vary from one person to the next. Treatment's may not be 100% effective for every person. 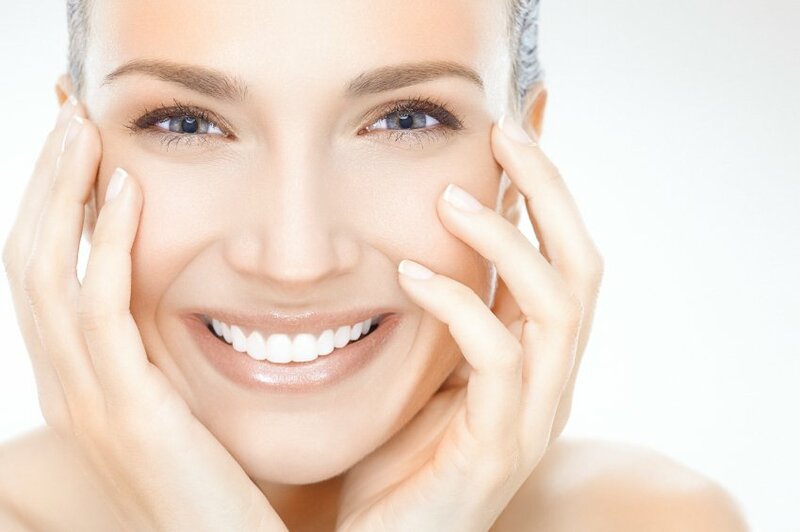 Laser Skin Tightening is a treatment that can take up to 15 minutes and is a unique facial rejuvenation option that produces dramatic results reducing the appearance of wrinkles and loose skin for a smoother and more youthful appearance. This is a minimally invasive, non-surgical process that uses an RF power source to tighten the area by heating the collagen under the skin's surface, causing it to contract. There is no downtime making this an increasingly popular procedure. Additional skin tightening occurs over the next few months, but optimal results usually require three to five treatments about two to four weeks apart. Using the advanced non-laser Intense Pulse Light technology your Technician gently delivers precise amounts of light energy through the skin’s surface to stimulate the production of collagen. As the new collagen forms, it softens the appearance of aging skin. Fine lines and wrinkles can be decreased minimally through time and the redness associated with rosacea can be dramatically reduced. Treatments restore a more youthful appearance and improve skin's texture without any downtime – allowing you to return to work or leisure activities immediately. Spider veins are like varicose veins but smaller and begin as tiny capillaries which appear as blue or red squiggles. Common areas are thighs, calves, and ankles. Veins may cause symptoms such as aching, heaviness, itching and night cramps. Vein disorders are some of the hardest skin conditions to cover up. Causes can be hereditary, bad circulation or chronic photo damage; as the skin becomes thinner, the vessels become more visible. Treatment can be administered in 15 minutes depending on how many lesions are present. Clients may need several treatments about every 3 weeks for optimal results. Now, you can clear mild to moderate inflammatory acne without side effects, discomfort, photo-sensitivity or downtime. Acne Clearing treatments utilize a high intensity enhanced light source to permeate the tissue to destroy acne bacteria quickly and easily–with no side effects, no downtime, no pain and without the exposure to antibiotics. Typically, just ten treatments over a four week period will greatly improve the appearance of skin. This treatment is great for teens and adults and can help heal and clear your face of acne. Your Skin Bliss Spa para-medical skin consultant will provide you with a complimentary skin analysis to help you understand how to achieve healthy, more beautiful skin. Skin Bliss Spa has created a brand-new laser breast lift that doesn't involve knives or needles. Instead it uses a combination of laser-lipo and lasers to lift and tighten the breasts. Injectable Dermal Fillers like JUVÉDERM® is the #1 selling collection of hyaluronic acid fillers in the US. Each product in the JUVÉDERM®-collection of fillers adds volume, and assist in correcting to a different area of the face. To lift cheeks, smooth parentheses lines, marionette lines, or plump the lips,that may be thin, lip augmentation, dark circles, puffy eyes. The results are natural looking and long lasting... BOTOX® Cosmetic is the only approved treatment to temporarily improve the appearance of both moderate to severe frown lines between the brows and crow’s feet lines in adults. Don't wait to schedule your appointment with our Medical Providers today! Dr. Gina Esparza, Dr. Martin Franklin, PA David Muehe, Yolanda DuGlas: Nurse Practioner, George Cortez and our Para-Medical Aesthetician's, Kimberly Cortez, Madelaine Almendarez, help to assist in these beautifying Treatment's. It is this dedicated group of highly qualified experts who make the Med Spa experience a safe, secure and luxurious experience every time. Physician's, Physician's Assistant, and Our Nurses perform all injectable procedures, such as Botox and other fillers, while the Aesthetician's perform all other Health Spa Treatment's. Botox is one of the most popular dermal fillers here at Skin Bliss Aesthetics. 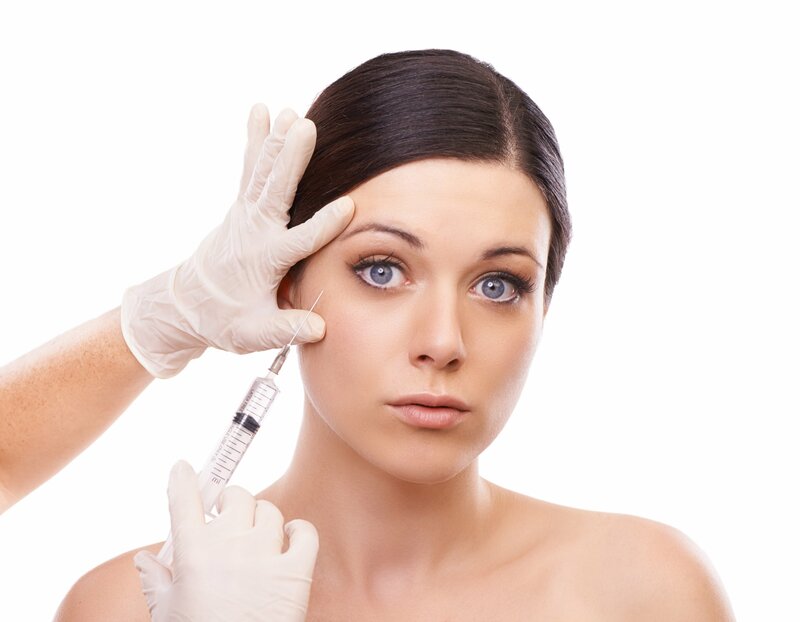 Botox is a quick and painless injection and works by relaxing the muscles in the treated areas. This results in noticeably less wrinkles and age lines and a younger you! After treatment, the results will keep improving for around 30 days and the results last 3 to 4 months. 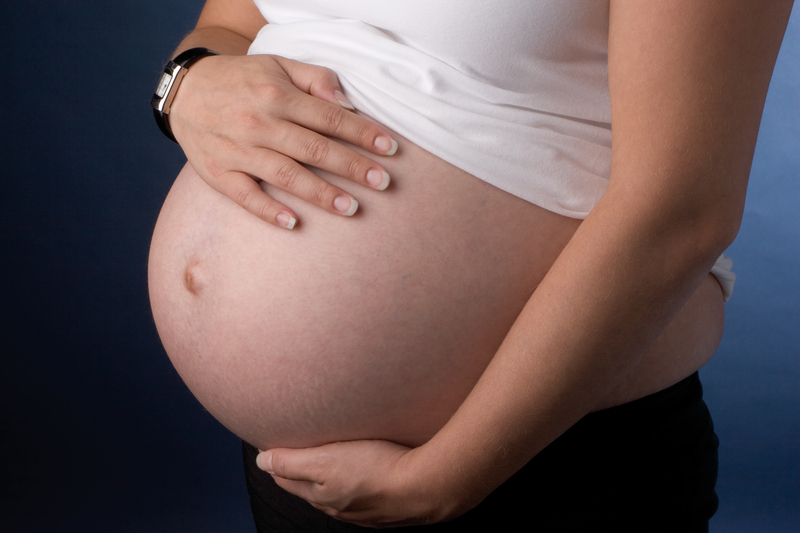 We recommend scheduling regular appointments to monitor results and suggest new treatments. Juvederm is a dermal filler used to smooth and revitalize the skin, leaving the face looking young and fresh. Juvederm is an FDA-approved treatment that helps eliminate lines and wrinkles often accompanying the aging process. The older we get, the less natural hyaluronic acid (HA) is produced, which is essential for maintaining smooth skin. Juvederm uses HA to restore the youthful appearance in a healthy and safe way for as long as 12 months. Micro Needling Therapy, also known as skin needling or Micro Factional Collagen Stimulation System™ uses an electric pen shaped studded with 9 precisely spaced micro needles in a small cartridge to create invisible, vertical, micro perforations into the epidermis and the top layer of the dermis. As a result, the skin shifts its natural repair mechanism into high gear and starts producing collagen and elastin to repair these micro-perforations. The self-repairing property of the skin is a 100% natural form of skin renewal from the inside out. The advantage of the RejuvapenTM compared to other treatments is that it not only activates cell regeneration, it also enhances the absorption of active ingredients of Bliss Tightening Complex into the skin during the treatment before the skin closes. Your skin becomes firmer and regains its elasticity, fine lines and wrinkles are visibly reduced, pores become finer, circulation is stimulated and the overall condition of the skin improves. Microdermabrasion is a progressive, non-invasive treatment that removes the top layer of the skin; dead skin cells, which assists in scar removal. It promotes the production of new cells in the deepest layer of the dermis while cleaning pores and balancing oil. Microderm also stimulates collagen networking to further even out skin texture and tone. Facial is included. Dermabrasion helps to "refinish" the skin's top layers through a method of controlled surgical scraping. The treatments soften the sharp edges of surface irregularities, giving the skin a smoother appearance. Dermabrasion can be performed on small areas of skin or the entire face. They can be used alone, or in conjunction with other procedures such as face-lift, scar removal, or chemical peel. 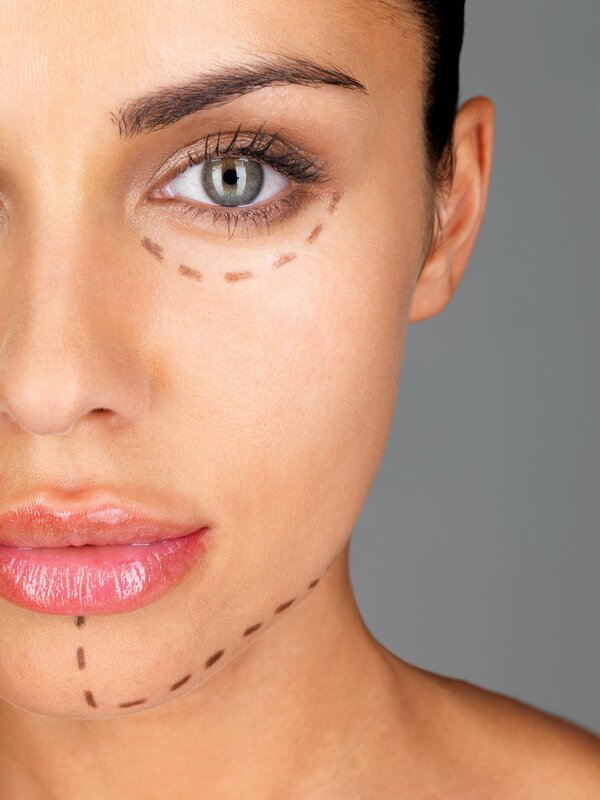 This cosmetic surgery procedure is for men and women of all ages, from young people to older adults. Some people heal more slowly and will need to keep in mind their skin type, coloring and medical history. 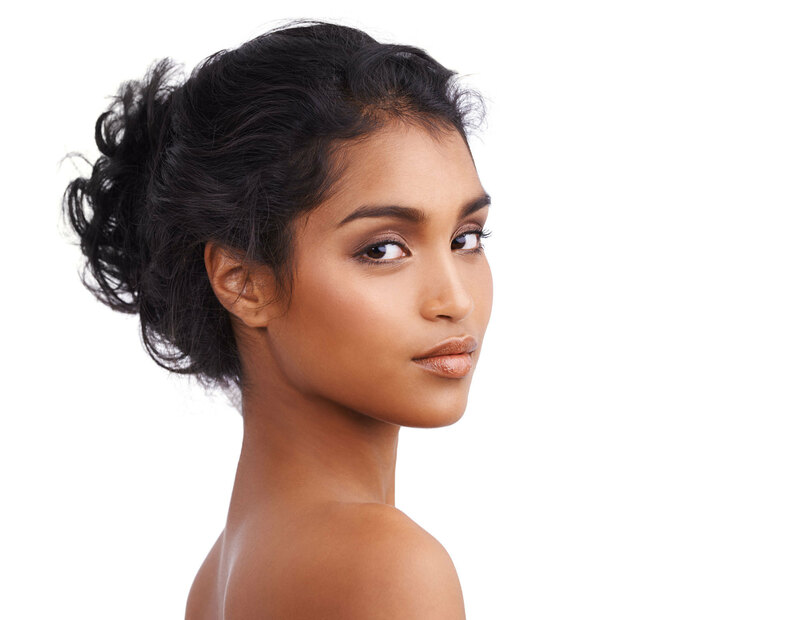 For example, Ethnic skin, Asian skin and other dark complexions may become permanently discolored or blotchy after a skin-refinishing treatment. A Blissful Facial is included. An aesthetic medical procedure that involves repeatedly puncturing the skin with tiny, sterile needles (micro-needling the skin) in order to induce endogenous production of cutaneous collagen. 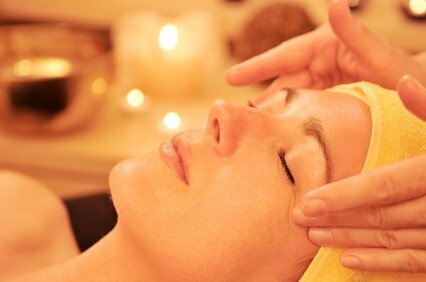 A Blissful Facial cleanse included is in this treatment. Create instant results with EuroThread’s FDA approved superior Medical Device technology. This proven medical aesthetics treatment is not only the ultimate in luxurious cosmetic pampering; it provides superior results commonly associated with skin rejuvenation, lifting and contouring. Experience the EuroThreads difference. The infrared light produced by LED lamps (Photo Rejuvenation) stimulates fibroblast cell activity in the skin which increases the production of collagen and elastin. Tired/Aging Skin - Softens lines, folds and wrinkles. Improves circulation, increases moisture and radiance. It also accelerates skin repair, improves elasticity and skin texture. Hyper pigmentation - Targets age spots, freckles and uneven pigmentation due to sun exposure. Tired/Aging Skin - Softens lines, folds, and wrinkles. Provides healthier circulation, increases moisture and radiance. Accelerates skin repair. The skin is toned with improved elasticity and texture. Hyper Pigmentation - Targets age spots, freckles and uneven pigmentation. Most cases of skin hyper pigmentation even out over time from this treatment. Acne/Blemishes - Assists in the repair of acne and blemishes. Acne blue light therapy works by targeting the bacteria that causes acne. Moderate acne that has not responded to other facial skin care treatments can be treated with this light-based therapy, which is administered over a span of several weeks. Acne blue light therapy rarely causes side effects and does not damage skin. Lactic acid is an alpha hydroxy acid that is mild and hence suitable for sensitive skin. Lactic acid peels serve many purposes which include regulating the pH of the skin, removing impurities from the skin, cleansing the pores and removing dead cells. 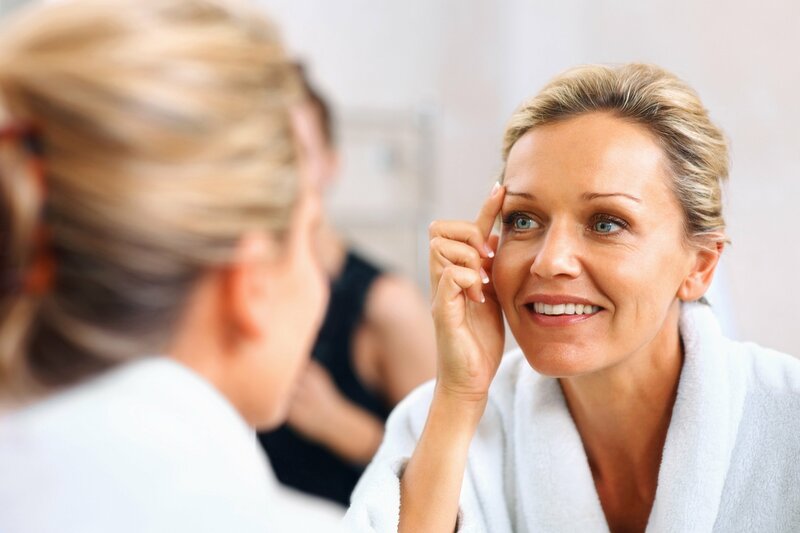 A mild chemical peel, such as the Jessner peel, can do wonders for toning up those fine lines and wrinkles that have started appearing around the eyes, forehead and mouth areas. Bipolar radiofrequency is used primarily for skin tightening / reduction of sagging skin (most commonly of the face and neck but sometimes elsewhere). However, it is often combined with another source of energy, typically a laser or intense pulsed light, which enhances subsequent tissue remodeling, including the synthesis of new collagen and elastin. Hence, in addition to skin tightening, such treatments are also used to improve wrinkles and fine lines. Tripolar is not a laser it is a radio-frequency device. It heats up the tissue below the skin's surface to theoretically shrink the tissues and destroy fat. It is similar to cooking, where food shrinks as it is cooked. This technology is the similar to a Thermage treatment. An Uplift, not a Face-lift! UL-therapy is a new type of non-surgical, non-invasive procedure that uses ultrasound and the body’s own natural healing process to lift, tone and tighten loose skin on the brow, neck and chin. The only FDA-cleared procedure to lift skin on these hard-to-treat areas that is safe. Ultrasound stimulates the deep structural support layers of the skin—including those typically addressed in a surgical face-lift without disturbing the surface of the skin. Some predisposing factors include aging, standing occupations, and leg injury or trauma,and heredity is the number one contributing factor that causes varicose and spider veins. Varicose veins are known to cause symptoms that may include leg aching, pain, heaviness, fatigue, ankle swelling, muscle cramping, restlessness, itching and burning. There are many different treatment methods to that can help. Skin Bliss Health & Wellness Spa have teamed up with Vein Associates Of Texas. For further information, please contact us to receive a free assessment! Dr. Martin Franklin is a board-certified leader in vein care. Dr. Franklin performs new non-surgical procedures called Endovenous Foam Treatment, Endogenous Thermal Ablation, Ambulatory Phlebotomy, Sclerotherapy and Hemorrhoid lysis Treatments. These proven techniques can safely and effectively eliminate your uncomfortable, unhealthy, and embarrassing spider, varicose veins or hemorrhoids without surgery, without pain, and without downtime. And treatment is usually covered by most health insurance plans. A treatment alternative to surgical stripping of varicose veins. With ultrasound visualization, a small catheter or tube is inserted into the damaged Vein, usually through a needle. Thermal energy, or heat, is then delivered inside the vein, which causes the vein to collapse and seal shut. The procedure is typically done in the doctor'said office under local anesthesia. Afterwards, a leg wrap or prescription compression stocking is usually placed on the treated leg for 1-2 weeks. Patients are able to walk immediately after the procedure and most individuals are able to return to work the next day. Reserve your Assessment with Dr. Franklin Today! Also known as Ultrasound-guided scherotherapy, endogenous Chemical Ablation is another treatment alternative to surgical removal of varicose veins. With this procedure, a chemical irritant, called a sclerosis, is injected into the vein while Dr. Martin Franklin observes the injection process on an ultrasound screen. This allows veins that are below the surface of the skin to be treated. Since these veins cannot be seen visually, they would otherwise require Removal. This technique causes the vein to collapse and seal shut, and may be performed with liquid or foamed sclerosis. The procedure is usually performed in a doctor'said office and may not require local anesthesia. It is not uncommon for a leg wrap or prescription compression stocking to be placed on the treated leg 1-2 weeks. Patients are able to walk immediately after the procedure and most individuals are able to return to work the next day. Please set up your free consultation with Dr. Martin Franklin today! Surgical techniques to treat varicose veins include ligation(tying off a vein), stripping(removing a vein by pulling it out with a special instrument), and ambulatory phlebectomy(removing veins through tiny incisions). Surgery may be performed using local, spinal or general anesthesia. Now done almost exclusively as an outpatient procedure, patients will usually go home the same day as the procedure. It is necessary to wear leg wraps and/or compression stockings for several weeks after surgery. Normal activities may generally be resumed after several days. Ambulatory phlebectomy is a method of surgical removal of varicose veins at the surface of the skin. Small incisions are made next to the vein and sections of vein are removed through these small nicks. This is frequently done in the doctor's office using only local anesthesia. Afterwards, a leg wrap and/or compression stocking is worn for a short period. Generally, normal activities may be resumed after several days. Make you appointment for your free assessment with Dr. Martin Franklin Today! Sclerotherapy can be used to treat both varicose and spider veins. A tiny needle is used to inject the veins with one of several different kinds of chemical irritant, or sclerosant, that irritates the lining of the vein. In response, the veins collapse, seal shut, and are reabsorbed by the body. Reserve your assessment with Dr. Martin Franklin today! Endermologie, developed in the 1980's, was the first treatment approved by the FDA to allow the claim of “temporary reduction of cellulite”. It is a massage machine with two rollers and a gentle suction action that when rolled over the top layer of fat makes a fold. This folding action stretches the connective tissue and results in the reduction of cellulite and body measurements, increased circulation, relief of muscular pain, and reduction of muscle spasms. This non-surgical method was used to treat the scars of burn victims when it was developed. Full body is one hour. A. TrueSculpt is the latest nonsurgical, no downtown time procedure that'she clinically proven to target problem areas on the body that are resistant to diet and exercise, like cellulite. Q. How does TrueSculpt work? A. TrueSculpt is an energy-based procedure that delivers controlled, yet comfortable, doses of therapeutic heat to the target zone, firming and smoothing problem areas over time. Q. Who is right for TruSculpt? 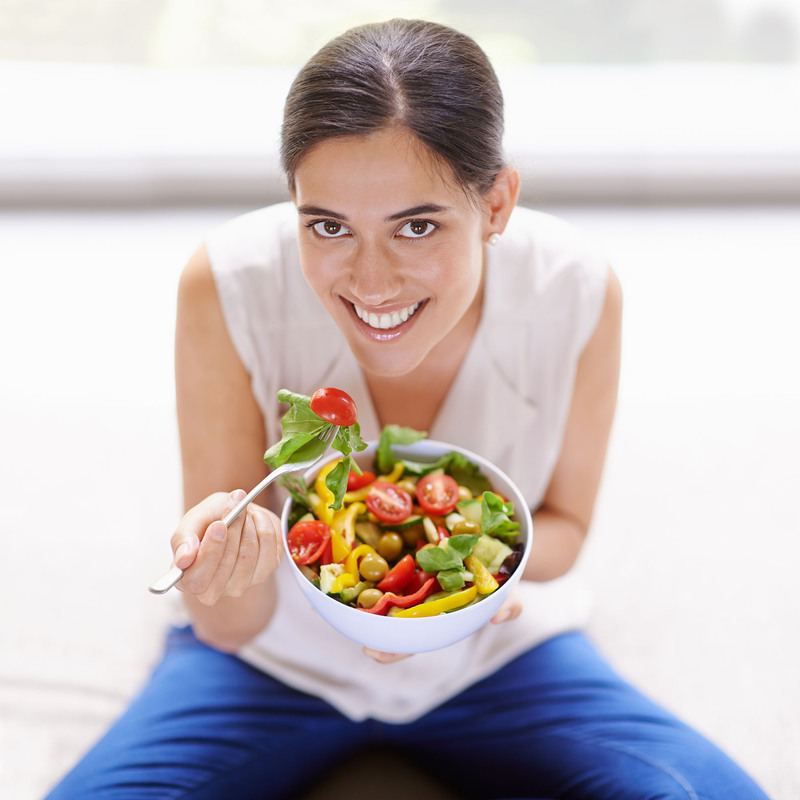 A. TrueSculpt is the ideal alternative for both women and men that live a healthy lifestyle but have problem areas that neither a NO-carb, NO- sugar diet nor any amount of crunches or 5k runs can resolve. A. While pain varies from patient-to-patient, most TrueSculpt patients find the procedure comfortable and therapeutic. A. 2 to 4 treatment sessions spaced 4 to 6 weeks apart is recommended to achieve optimal results. Q. Can I return to daily activities following the Treatment? A. Yes. TrueSculpt is a no downtime procedure giving you the freedom to return to your daily activities immediately post treatment. 40 min. Per area per treatment. The most common type of massage for relaxation. If this is your first time, this is the massage for you to start with. It incorporates techniques like effleurage, petrissage, and tapotement to manipulate tissue helping with muscle tension and stress. It helps increase your blood flow, lymph flow, and circulation. A full body Swedish massage that uses hot stones to help release muscle tension. 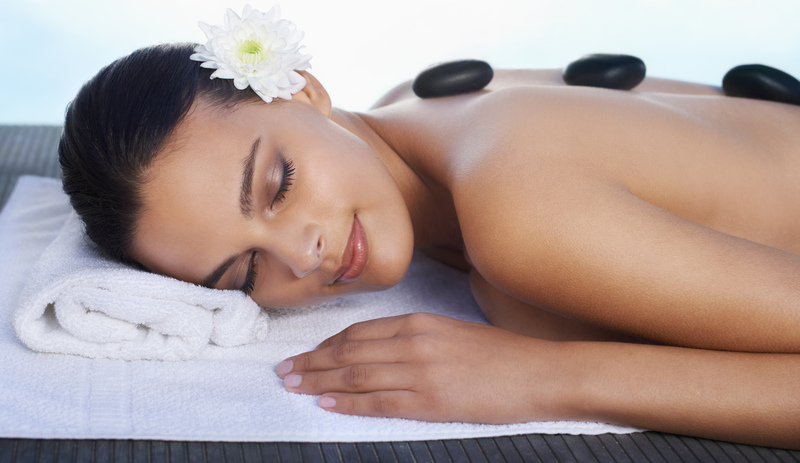 There are additional stones placed on key points of the body to help send you into deep relaxation. This type of therapy addresses tension in the sub layers of the muscles and fascia. Trigger point and stretching may be used during treatment. The pressure is deeper and slower than a Swedish massage and the person can be sore for a few days. Can be painful for some people and is described as a "good hurt". Perfect for the mother-to-be. Helps to reduce back pain, shoulder and neck tension, and aching feet. Beneficial for circulation, blood flow, sleep, anxiety and depression. A very gentle massage that drains the lymphatic system to eliminate waste and detoxify the body which promotes healing. Can also be used on the face to help with sinus, wrinkles and baggy eyes. A Japanese type of therapy for stress reduction and relaxation. The client is never touched, the hands are a few inches above the body. Reiki treats the whole body, mind, spirit and emotions to promote well-being. Drift away with an aromatherapy full body Swedish massage. Your hands and feet are then scrubbed and a mud mixture is applied. Then they are wrapped and baked in our warm mittens and booties. Hot towels are used to cleanse the hands and feet. You leave our spa feeling relaxed and tension-free. If you don't have time to relax with a full body massage why not get your scalp and feet massaged. Essential oils are used to help you drift into relaxation. If you're not one for a full body massage then this is the treatment for you. In this therapy the feet are scrubbed with our spa made salt mixture that infuses essential oils and is followed by a mud mask. Hot towels are used then the treatment ends with a foot massage. Aromatherapy uses essential oils derived from plants to affect your mood and alleviate pain. Add to any massage treatment for an extra charge. Let Earth's natural minerals replenish and soothe your skin. Your body is scrubbed with an exotic salt mixture under our vichy shower. Warm mud is layered over you and then you are cocooned in warm blankets. You may request our silky lotion application and use our huge walk-in shower. Exotic aromatic spices are blended for a delicious combination of exfoliation and hydration. Begin with a full body scrub using pure cane sugar drenched in oils of chai tea cinnamon and vanilla. After removing the polish with warm towels, whipped shea butter infused with chai spices are massaged and followed by a soothing wrap. 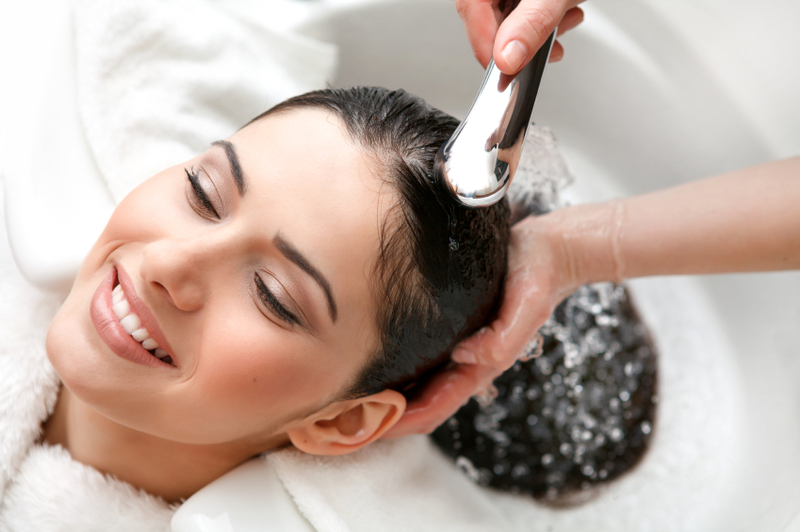 As you relax, scented warm oil is drizzled onto your scalp for a treatment setting you adrift into deep peace. You may enjoy a full shower in our huge walk-in shower. If you love the aromas of tropical Hawaii, then you'll love this treatment. Your body is scrubbed with our salt mixture that smells like bananas and coconuts. Then you're covered with mud and cocooned in warm towels and blankets. Afterwards, your body is rinsed with our vichy shower and if you choose, our huge shower is available upon request. In this treatment your body is scrubbed with our lavender salt scrub then you're painted with our spa mud. The body is cocooned with warm towels and blankets ending with our vichy shower rinse off. You can also shower in our walk-in shower. A full body scrub using exfoliating mittens with a scented salt scrub under out vichy shower. Lotion application and shower to finish by request. An alternative medicine practice to improve general health and well-being. One end of a hollow candle is lit and the other end is placed in the ear canal. This creates a low-level vacuum that draws ear wax and other debris out of the ear and into the hollow candle. After the procedure, a dark, waxy substance is usually left in the stub of the candle. This helps to improve ear aches, headaches and sinus problems. A gentle body polish of exotic herbs, oils and mud is layered on your body for a silky prime exfoliation that is performed under our vichy shower. You may also use our large walk-in shower. The perfect treatment to smooth stubborn cellulite, while firming and tightening the upper epidermis. The active ingredients in Skin Bliss spaology mix are driven deep into the lower layers to tackle the reduction of the ‘orange peel effect’ on the upper thighs and buttocks areas. Ideal for pre-summer, holiday and special occasions for top body perfection. Includes detox & polish. This buff treatment is designed to exfoliate and cleanse problem skin on the back. There's a deep pore steam cleansing to decongest and balance followed by a dry brush sweet sugar polish and a therapeutic purifying complexion mask with hot towels and essential oils. This treatment cleanses those hard to reach areas, leaving your skin ready for summer or special occasions. The idea of a hot bath at the end of the day is not just something that helps to soothe the soul, but can heal the body. Physical therapists and physicians are finding that patients actual respond well to hydrotherapy whirlpool baths. They help with circulation, blood flow and weight loss. An invigorating whirlpool bath filled with oils and bubbles. A spa therapist will scrub your body for smooth soft skin, to detoxify and stimulate circulation. This is the ultimate bath designed to soften, nourish and moisturize the skin. By using buttermilk, essential oils and essences of flowers your body is left silky smooth. Treatment includes body scrub. The I-Lipo emits low levels of laser energy which creates a chemical signal in the fat cells. This breaks down the stored triglycerides into free fatty acids and glycerol releasing them through channels in the cell membranes. The fatty acids and glycerol are then transported around the body to the tissues that will use them during metabolism to create energy. This process of fatty acid release is a natural response of the body when it needs to use stored energy reserves, thus i-Lipo is not creating any unnatural reaction in the body nor does it affect or damage any surrounding structures. A period of exercise post treatment will ensure the complete metabolism and elimination from the body of the freed fatty acids. exfoliation of dead skin cells; detoxifying and re-mineralizing; hydrating. Your journey begins with our Enritched with Pro-vitamin B Loofah crushed with Apricot Seeds gently scrub away dry, rough areas while hydrating marine botanical's of Sea Fennel, Sea Lettuce and Seaweed that will leave your skin smooth and more receptive to the healing properties of the Aromatic Green Tea Kaolin Clay, Fresh Water Silt and Nine Sea Botanical's blend purify and improve skin's texture and tone and Wrap to follow. Infused with essential oils to lift the spirits and clear the mind and Seaweed ocean sea algae, one of natures most complete sources of nutrition, our signature sea enzyme body wrap will envelope your senses while providing a deeply detoxifying and remineralizing treatment. Finally, relax as you receive a moisturizing treatment. Your journey begins with our Warm Vanilla Brown Sugar Scrub gently scrub away dry, rough areas leave your skin smoothe and more receptive to the healing properties of the Aromatic Vanilla Chai Tea Kaolin Clay, Fresh Water Silt and Nine Sea Botanical's blend purify and improve skin's texture and tone and Wrap to follow. Infused with essential oils to lift the spirits and clear the mind and Seaweed ocean sea algae, one of natures most complete sources of nutrition, our signature sea enzyme wrap will open your senses while providing a deeply detoxifying and re-mineralizing treatment. Finally, relax as you receive a moisturizing treatment. This spectacular manicure treats your hands with a simplified but to the point treatment, great for a quick lunch time Manicure! A nice soak, deeply moisturizing mango cream to hydrate the skin. Shaping, buffing, cuticle therapy and polish, round out this necessary service. This efficient hand treatment includes a refreshing soak, an exfoliation, nail shaping and buffing, attention to cuticles, and your choice of beautiful polish. This does not include French-style polish. This spectacular manicure treats your hands and gets them in tip top shape, includes: soaking in warm aroma scented rocks with exfoliation scent of your choice and a deeply moisturizing mango cream to hydrate the skin. Shaping, buffing, cuticle therapy and polish, round out this necessary service. This complete manicure treats your hands with scented fragrance: Cucumber, Fruit Smoothie, Tropical, Strawberry, Banana exfoliation of your choice, scented mask of your choice, hot towels, and a deeply moisturizing shea butter , or mango cream to hydrate the skin. Shaping, buffing, cuticle therapy and polish, round out this necessary service. 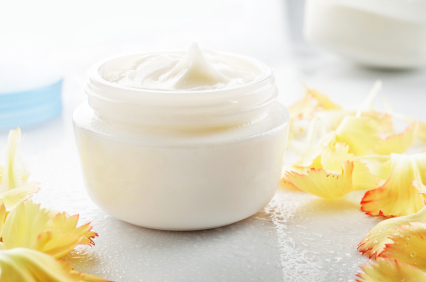 your hands and arms, mask, hot towels, a warm paraffin dip, and a deeply moisturizing mango cream to hydrate the skin. Shaping, buffing, cuticle therapy and polish round out this necessary service. This is the ultimate, stress-busting, soothing treatment using premium products. Combining relaxing massage, nail maintenance, scrub, heated mitts, Hot towels mask and 100% chill-out factor! A must for beautiful feet! An ex foliating scrub, followed by one of our rich moisturizers, will have feet and legs GLOWING! Shaping, buffing, cuticle therapy, and your choice of polish conclude this necessary service. This service does not include French Style polish. An invigorating foot soak, an ex foliating sugar scrub, and a deep, moisturizing massage leaves your hands smooth and soft. Shaping, buffing, cuticle therapy, and your choice of polish completes this hand experience. An invigorating aromatherapy(scent of choice) foot soak, an exfoliating sugar scrub, mask, hot towels and a deep mango moisturizing massage leaves your hands smooth and soft. Shaping, buffing, cuticle therapy, and your choice of polish completes this hand experience. Delight in the ancient ritual of a totally complete pedicure Includes fortifying foot and leg exfoliation, callus removal, a with a relaxing massage, with smooth oiled river stones and a paraffin dip. promises to satisfy multiple cravings! This amazing luxury treatment begins with, a chocolate bubble soak, next a sensual chocolate ex foliation, then a soothing creamy chocolate mask, hot towels, last but not the least, warm chocolate moisturizing cream, shaping, buffing, cuticle therapy, and polish will finish out this luxury. hot towels, a warm paraffin dip, and a moisturizing massage to leave your feet feeling smooth and soft. This service reduces calluses and relieves soreness, perfect for aching feet. Shaping, buffing, cuticle therapy and your choice of polish completes this total foot experience. 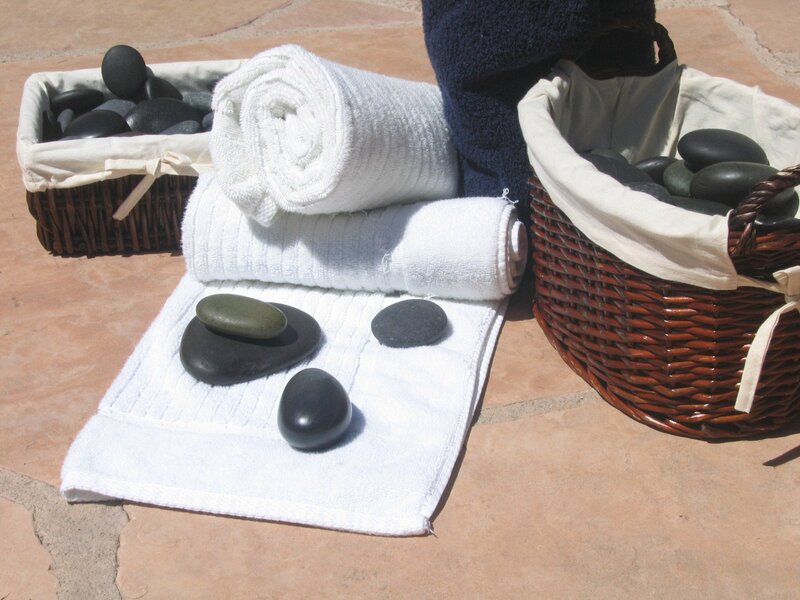 hot towels, with a relaxing massage, with smooth oiled river stones and a paraffin dip. A soothing hot wax treatment to assist with circulation, muscles, joints, dry skin, & arthritis. You can get a beautiful manicure that lasts. Haircut with the length passed the shoulders. Haircut with length above the shoulders. A precision haircut that will make everyone's turn heads. 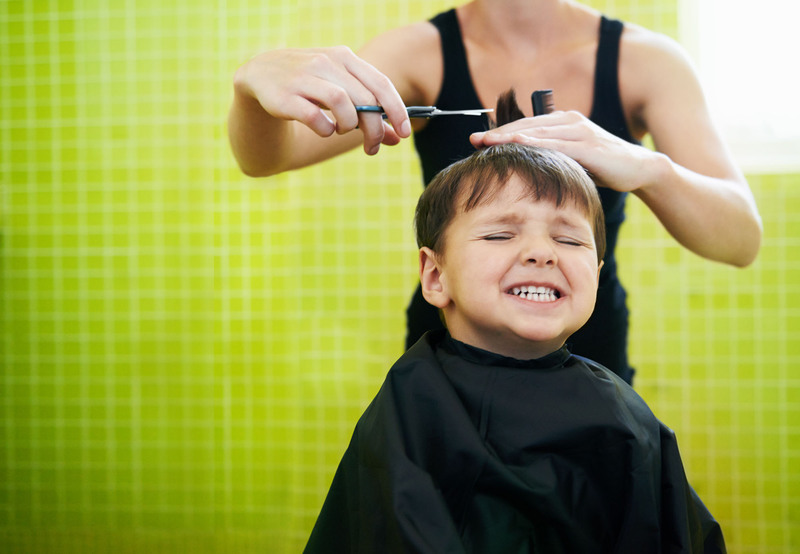 It’s adorable, it’s special, it’s memorable, it’s your child’s first haircut. This special moment can live on with the help from our well-trained stylists. Our First Haircut Photo Package is a fantastic keepsake that captures this special moment right at the salon. You’ll also receive a certificate that will include a special place for a souvenir lock of hair. A cool precision haircut for your child. 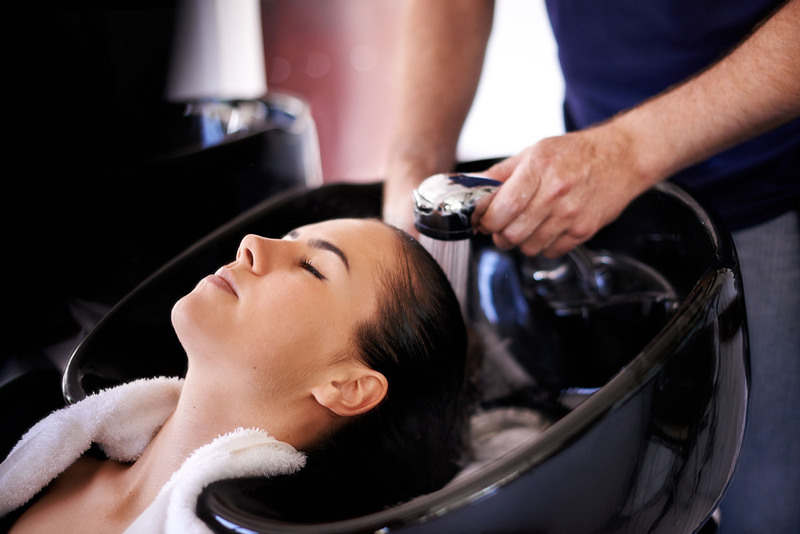 Experience an aromatherapy shampoo, a light conditioning and scalp massage. Our Stylists will guide you to the ideal shampoo, conditioner and styling products to fit your life. Ends with a blow-dry. 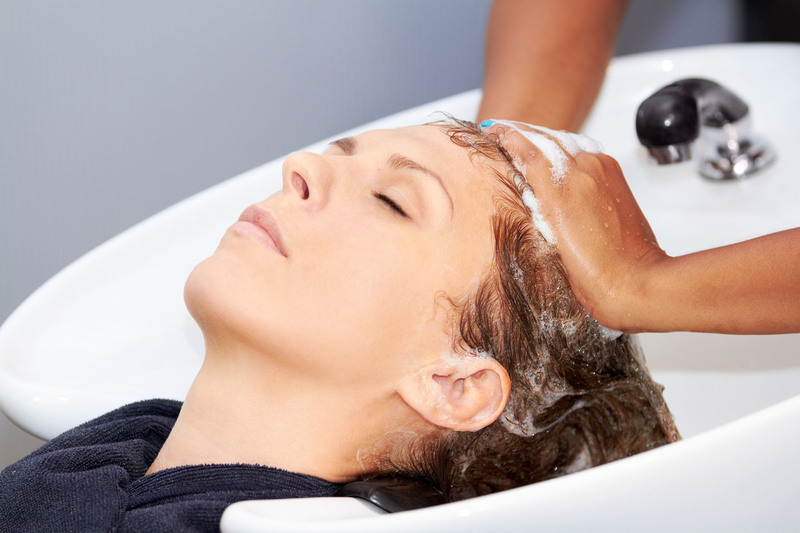 Experience an aromatherapy shampoo, a light conditioning and scalp massage. 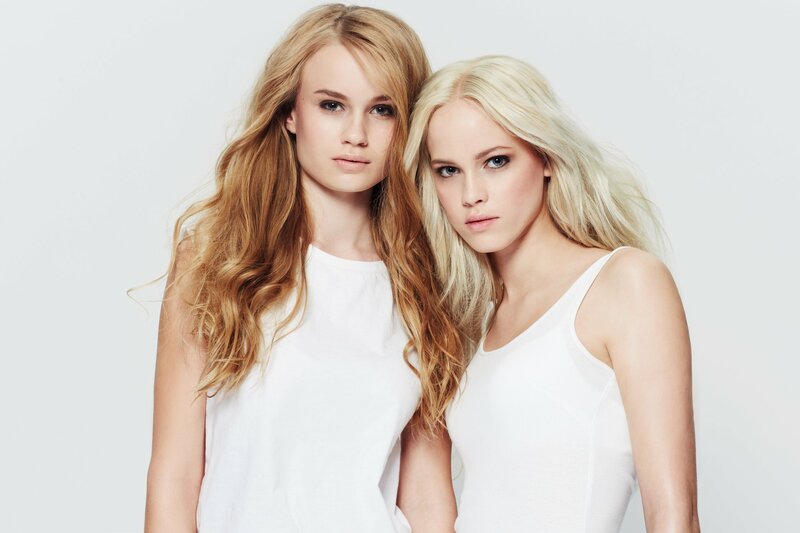 Our Stylists will guide you to the ideal shampoo, conditioner and styling products to fit your life. 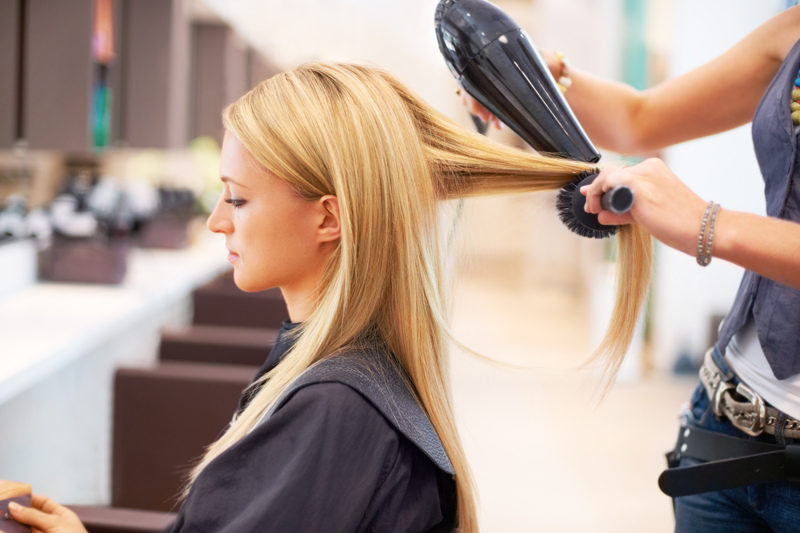 Blow Dry Bar is devoted to providing exceptional client service. 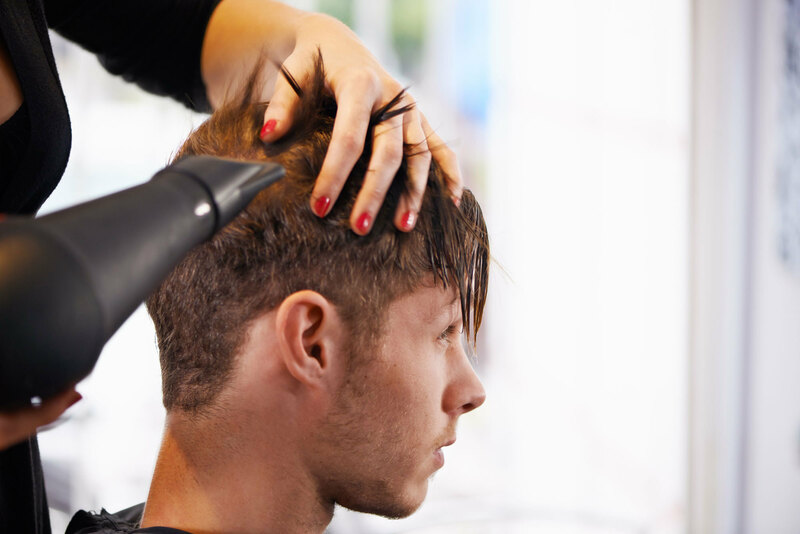 We use the highest quality products alongside advanced educational techniques in order to enhance our clients' experiences and to remain at the forefront of the salon industry. We seek to afford our clients an unparalleled experience that will exceed their expectations. 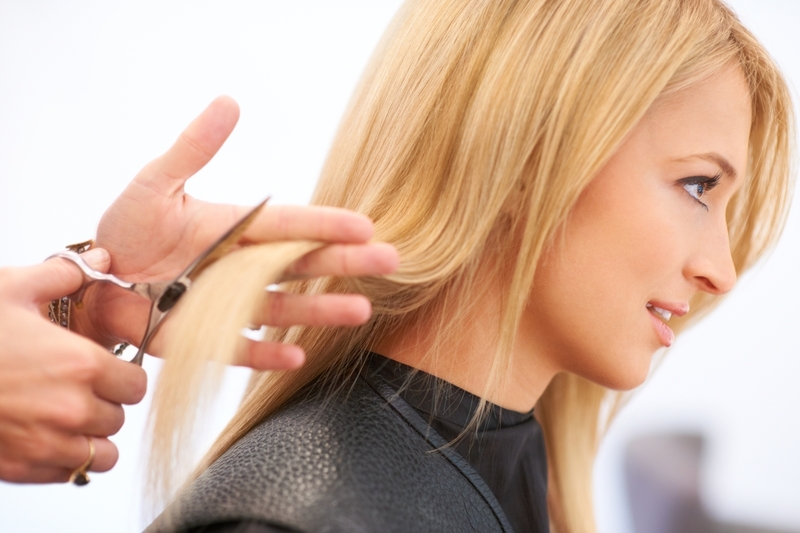 Let our team of talented hair designers create a look just for you. We provide all the latest trends in a relaxed and friendly environment. 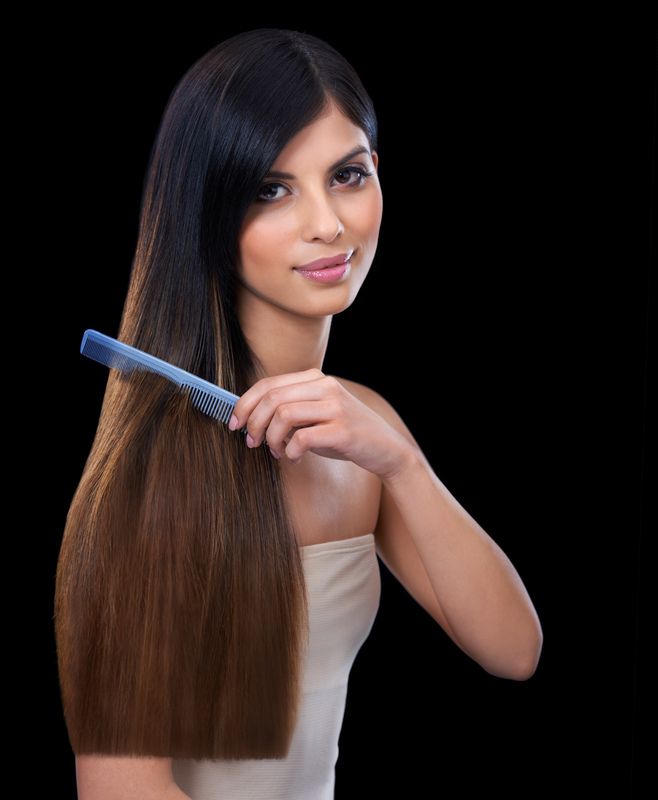 "Smoothing Treatments" include Keratin treatments, Coppola Complex brand treatment, Brazilian Blowout brand treatment, and Agave Oil treatments. While each treatment is different, they all give similar results. 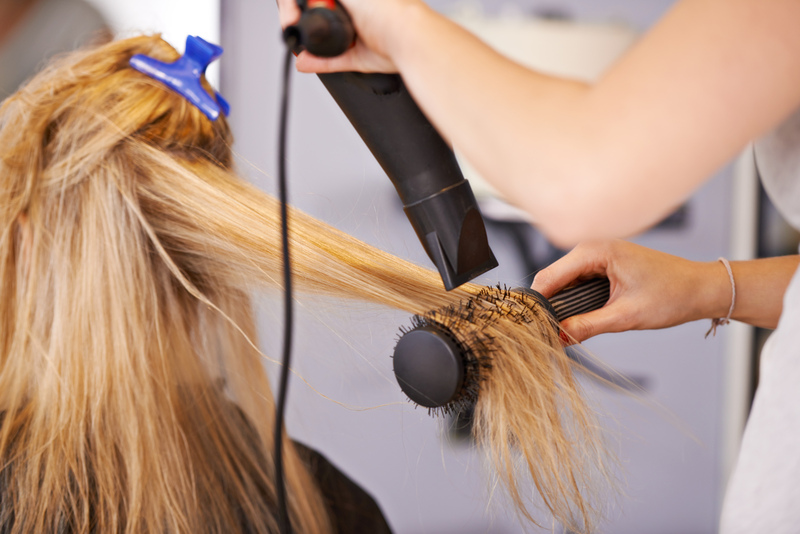 Using experience, our stylist can determine which products will provide the best results for your hair. The information below will provide a quick comparison for the most popular systems that our stylists offer. Smoothing services do not require an in-salon consultation but we are always happy to provide one for free if you like. 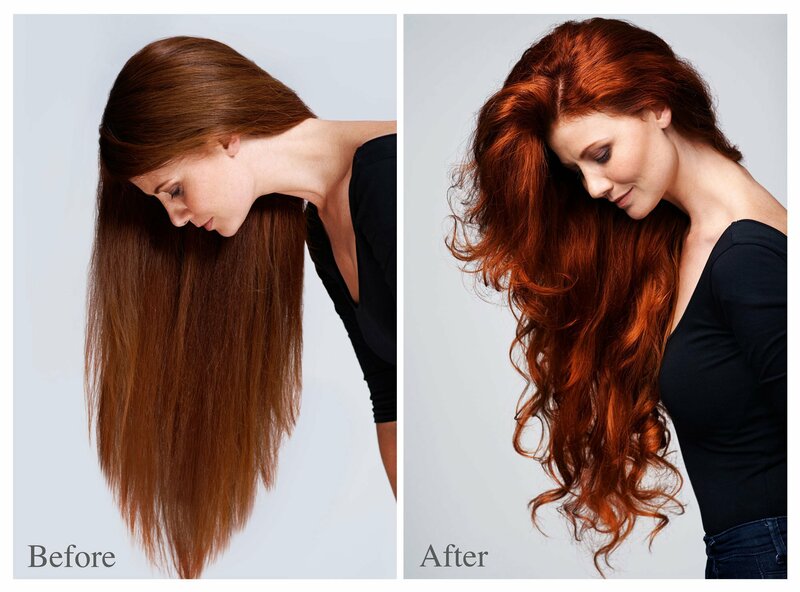 Single Process Color – Single process generally refers to coloring your hair one color. Colors can be kept natural or more trendy. Color can be applied with permanent or semi-permanent formulations, this also adds shine and conditioning agents. 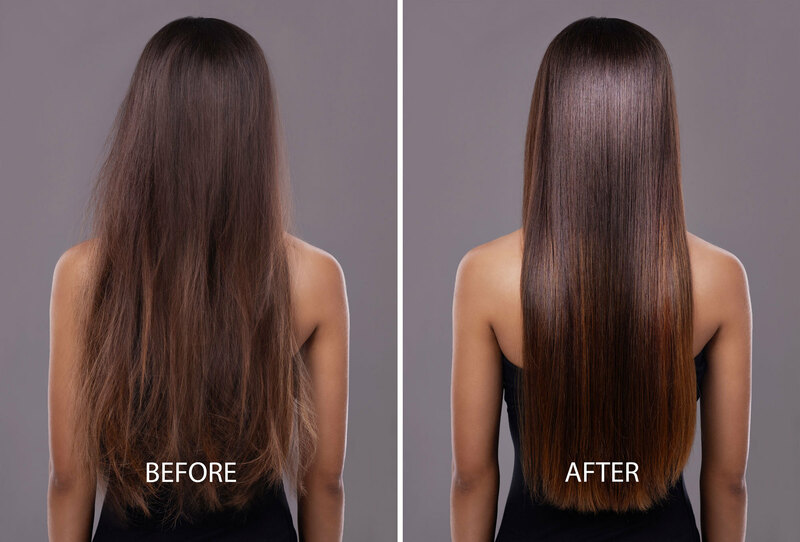 Retouching with Highlights for a new you. A cute Girly Do that your child will always remember. Skin Bliss Spa is proud to offer and specialize in professional Make-Up, Special Event Portraits and Costume Make-Up applications to enhance your beauty for any occasion! Unlike traditional makeup airbrushing sprays a fine mist so the makeup "sits evenly" on your skin. It provides flawless coverage by minimizing skin imperfections while giving skin a beautiful natural finished look. Skin Bliss Spa is proud to offer and specialize in professional makeup, special event portraits and costume makeup application to enhance your beauty for any occasion. Unlike traditional makeup, airbrush sprays a fine mist so the makeup "sits evenly" on your skin. It provides flawless coverage to minimize skin imperfections while giving skin a beautiful natural finished look. We go to great lengths to ensure the bride is absolutely breathtaking on her wedding day. We understand that this is one of the most memorable days in a woman's life because her image will be captured in time forever. It is for this very reason that we designate your own personal concierge so that we get all of the details just right. Another way we ensure your satisfaction is through our Bridal Consultation. 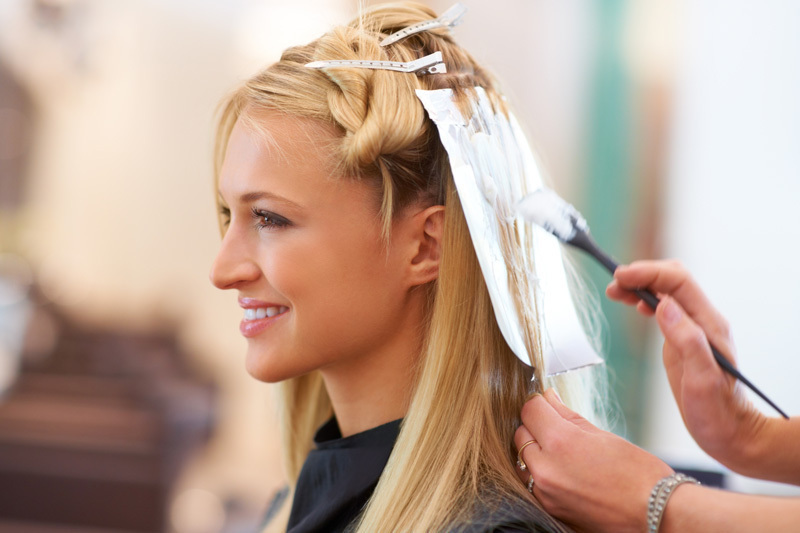 During this personalized consultation session, your preferred hairstylist and Make Up Artist will ask a series of questions targeted towards the look you desire. This appointment is scheduled approximately 4 - 8 weeks prior to the wedding day and requires bringing your headpiece to this pre-wedding trial run. Lastly, we have a private, one on one dedication to serving the bride and her bridal party where we can also provide catering and refreshments and focus solely on you. 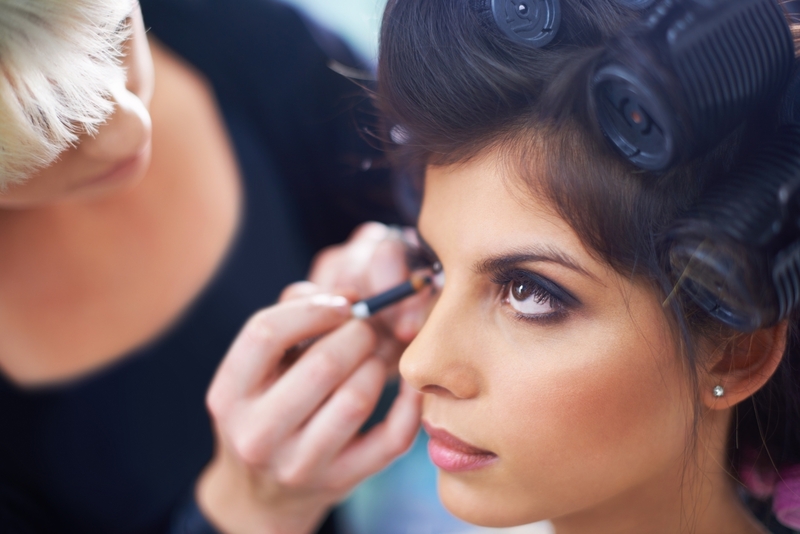 Let our Special Events Scheduling Coordinator take care of all your beauty details. This luxurious package includes relaxing one hour Swedish massage, Brightening Facial, and a make-up session to give you that brilliant glow. Moms deserve to be pampered too! Look great for the big day with a 12 week customized program designed exclusively for you. A 15% savings will be granted on all spa packages valued over $1500. A blissful bridal ritual to detoxify, reinvigorate, moisturize and tonify the body, leaving the skin gloriously silky with a lingering fragrance. Bath is designed to soften, nourish, and moisturize the skin by combining buttermilk and essences of flowers resulting in a smooth and renewed spirit. A series of beautifying and nurturing bridal spa treats to ensure you are energized and look your stunning best, your skin revived and transformed with a new radiance and super-smoothness. These blissful and beautifying spa treats will banish all stress and help you achieve total beauty wellness to be at your immaculate best, illuminating from top to toe. the perfect way to treat yourself before you meet your family and friends. Perfect Bride* Just For You! Get wedding-photo ready with the Aroma Therapy Massage, Tropical Manicure, Tropical Pedicure, Makeup Application and a Bridal Updo. Sugaring uses an all-natural paste made from ingredients like sugar, water, and lemon juice to remove the hair follicle from the root. Unlike traditional waxing, the sugar paste is applied against hair growth, and removed with hair growth, which can result in less redness and irritation at the site of hair removal. Results can last up to six weeks and hair regrowth is often finer. For best results, we recommend scheduling your visits 4-6 weeks apart for regular maintenance. Touch-up appointments are available for in between visits; please inquire with us at Skin Bliss! Waxing is a form of semi-permanent hair removal which removes the hair from the root. New hair will not grow back in the previously waxed area for two to seven weeks, although some people will start to see regrowth in only a week. Almost any area of the body can be waxed. Pampering Spa Packages, or Gifts For Any Occasion. 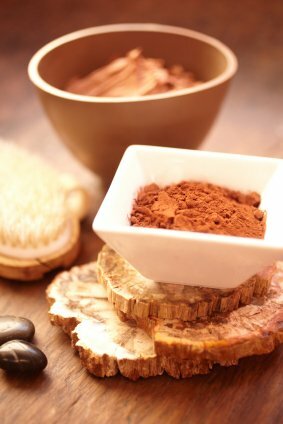 Enjoy a relaxing * Bliss Signature Massage and a * Rejuvenating Plus Facial, all accompanied by Bliss chocolates. Customize your experience for maximum enjoyment and lavish relaxation. Three 55 minute treatments and enjoy your treatments back to back. * Signature Hot Stone Pedicure. You'll be greeted with and spoiled with a lunch of your choice. 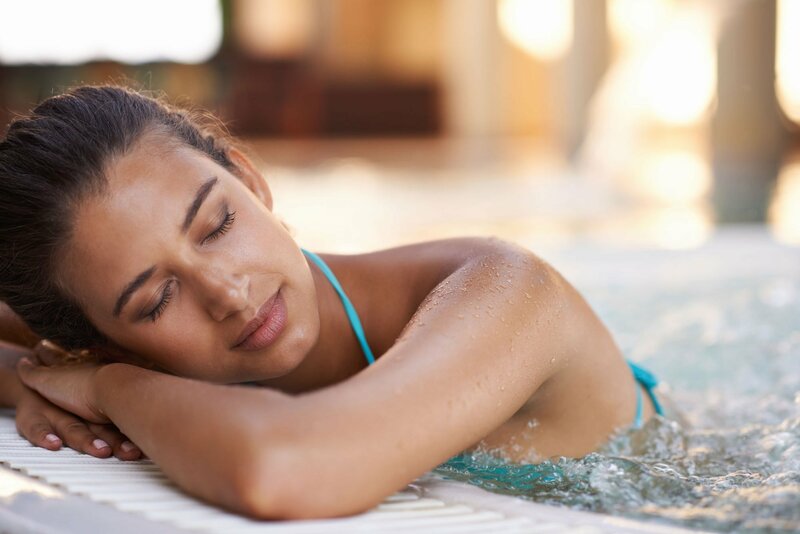 Enjoy this ultimate retreat with the start of a * Bliss Signature Facial, then be pampered with a * Bliss Signature Massage, relax in a * Warm Bath. To end your Retreat relax your tired feet with a * invigorating Spa Pedicure, followed with a stress relieving * Spa Manicure. Lunch is also provided. 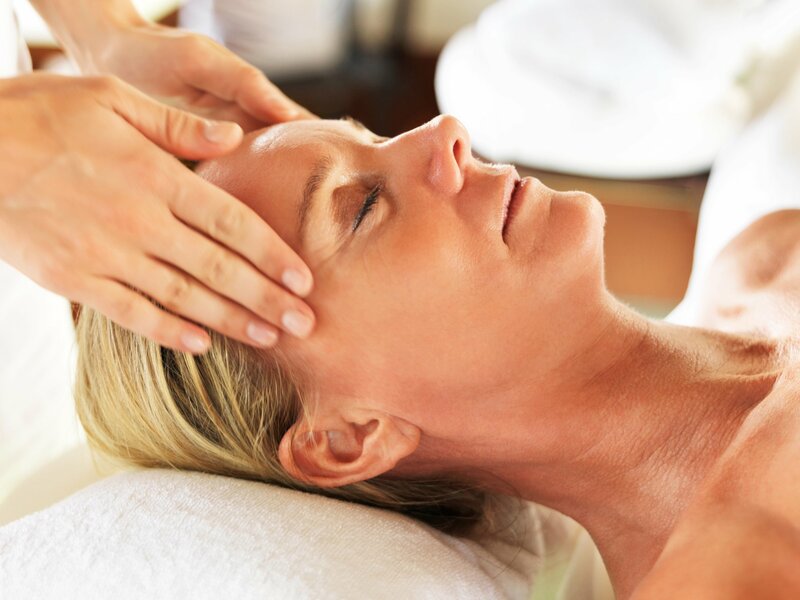 Experience our *Bliss Signature Facial to relax your spirit and mind. Then relax your way through a *1 hour Swedish Massage. Next escape into our blissful paradise with a*Lavender Russian Bath, *Spa Manicure and *Spa Pedicure. A lunch of your choice will be served midway through your experience along with juice and Bliss Chocolates. This is sure to be an experience for you or that special loved one that won't soon be forgotten! A 50min. Invigorating Back Treatment & a 30min. Swedish Massage. A day that begins with Lemonade along with Pepperoni Cracker Snacks, and a Sweet Treat. Then get ready to relax with a Body Buff followed by a 50min. massage. Top it all off with a Sports Pedicure & Sports Manicure. Lunch of your choice from our menu. 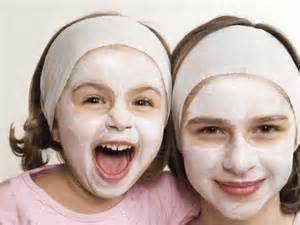 spa services exclusively for Teen And Tweens! We believe it is important to develop Self Esteem, set Great Examples, and Teach Bliss Teen & Tweens how to maintain proper Etiquette and Wonderful Care and great habits for themselves, very early on, whether it be in a group setting, or just their beautiful selves. Skin Bliss pride ourselves on our top quality professional products made specifically with your child in mind. Our decorated Posh spa Lounge has a room full of fun, magazines, and movies. colorful atmosphere, your child will love her spa experience. Facial Product's with scent of their choice. cleanse, scrub, steam, mask with eye tea bags, moisture massage. bubble bath, bath wash, lip gloss, or body lotion. to spice up her life with the magic of a manicure, pedicure, facial, makeup. Combine the Angelic Manicure and the Angelic Pedicure and she will float away like a sparkling, beautiful butterfly. remembrance of her wonderful spa day! Feel youthful—inside and out—with a skin-refining exfoliation and vitamin-rich facial mask. Deeply infusing vitamins, antioxidants and peptides into your skin, this facial reduces the appearance of fine lines and wrinkles while tightening and firming the skin. massage techniques will relax the body, improve circulation and reduce stress. This is the perfect introduction to massage therapy. This invigorating whirlpool bath is amazing! A Spa Therapist will accompany you, and use exfoliating mittens to scrub your skin to help detoxify your body and stimulate circulation. This complete manicure treats your hands with exfoliation mask, hot towels, and a deeply moisturizing shea butter , or mango cream to hydrate the skin. Shaping, buffing, cuticle therapy and polish round out this necessary service. 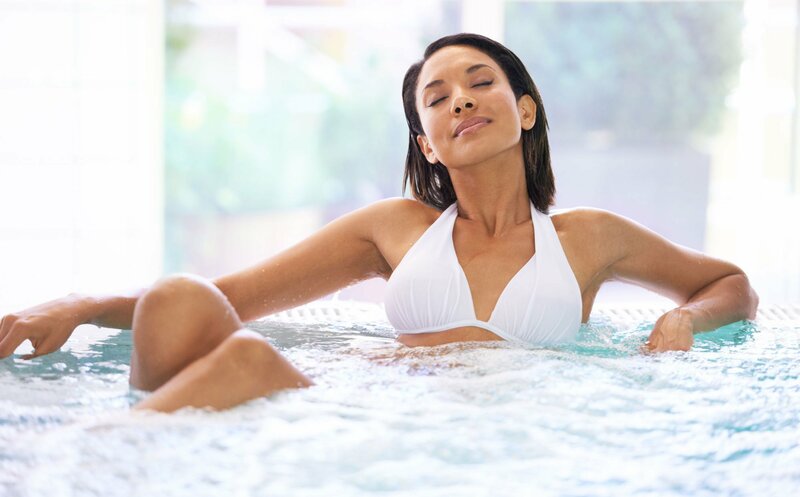 The idea of a hot bath at the end of the day is not just something that helps to soothe the soul, but physical therapists and physicians are finding that patients actual respond well to hydrotherapy whirlpool bath tubs and to their warm jets. By providing heat and pressure to the body in a relaxed atmosphere, patient injuries are responding and healing at quicker rates. This kind of bath tub will help the body and feet gently be massaged, which helps the body begin to circulate blood more evenly in turn can also help with weight loss. 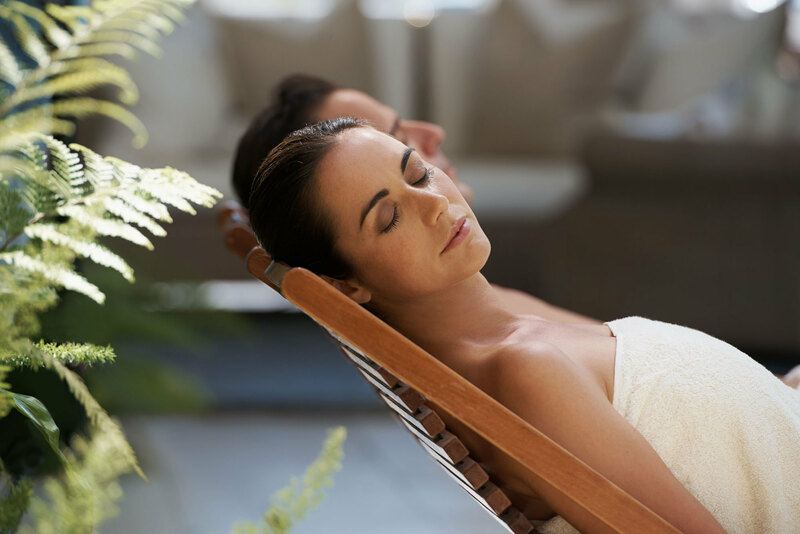 Personalized for your specific skin needs, the Blissful Escape Facial includes cleansing, skin analysis, exfoliation, optional use of steam/extractions, masque, and relaxing neck/shoulder massage. and apply customized formulations using techniques designed to improve the vitality and condition of your skin. Skin Bliss Back Buff treatment is designed to exfoliate and cleanse problem skin on the back. A deep pore steam cleansing to decongest and balance is followed by a dry brush sweet sugar polish and a therapeutic purifying complexion mask with hot compress & essential oils. This treatment cleanses those hard to reach areas, leaving your skin ready for summer or special occasions. includes cleansing, shaping, cuticle therapy, nail buffing and hand massage. Yes, he needs this. This enjoyable treatment includes an exfoliating scrub, cuticle therapy, a light buffing of the nails, and a light moisturizer. A therapeutic massage using a wide variety of techniques and firm pressure. Ideal for chronic muscle tension and overworked muscles. is then layered on your body to ensure a silky prime exfoliation. your skin to help detoxify your body and stimulate circulation. Let Earth' s natural minerals replenish and soothe your skin. Your body is layered with an exotic mixture of herbs in a mud, algae or cream (milk) base mask and cocooned in warm blankets. While the mask absorbs into the skin, enjoy a scalp and foot massage, followed by a massage under our ‘five headed’ Vichy shower. The treatment ends with a silk-emulsion lotion application by request. 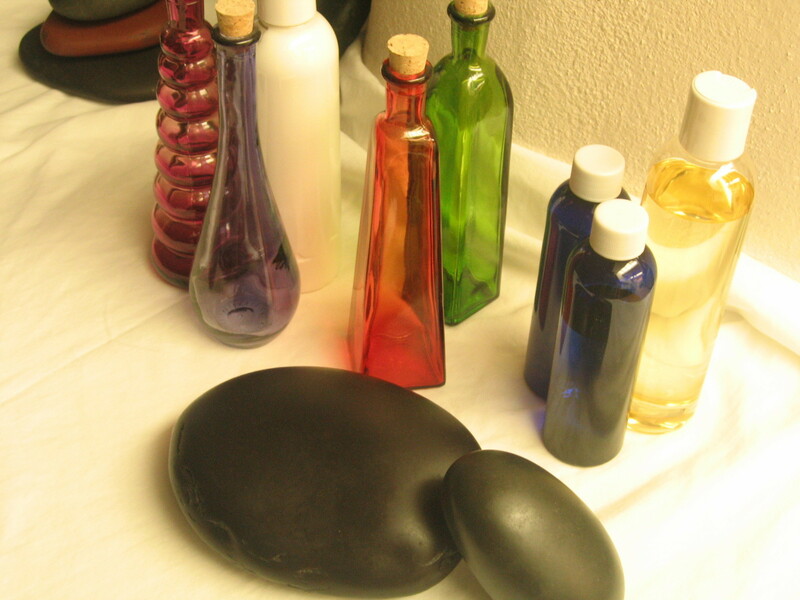 Pure essential oils will take you on a sensual journey during your relaxing Massage Treatment. 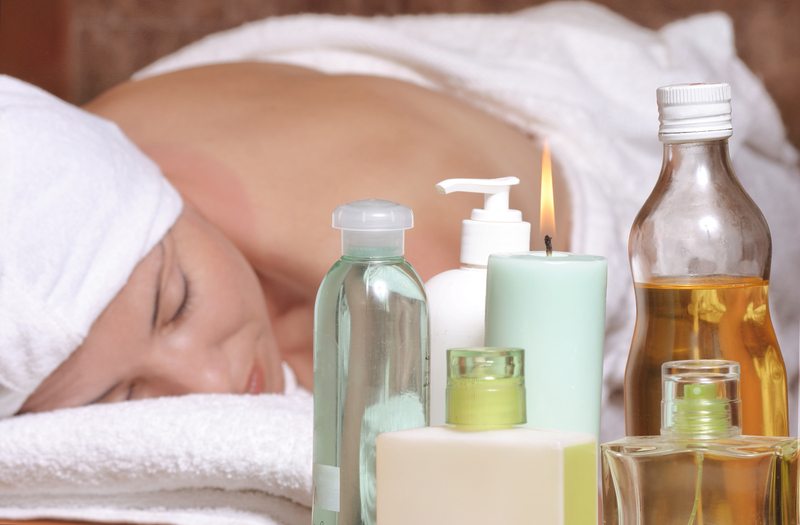 All signature massages include unscented oils, but you can request aromatherapy. Indulge yourself in a treatment rich in vitamins and enzymes. Begin with a gentle vanilla exfoliation, followed by your body being rinsed off by our Vichy shower and then covered with mud and being wrapped up with warmth and aromas. Then you are rinsed with our Vichy shower. Lotion is applied upon request. Bath designed to soften, nourish and moisturize the skin by combining buttermilk and essences of flowers. A soothing application of creams and aromatic oils are applied throughout the body, resulting in a smooth skin and a renewed spirit. Best described as a tropical rainstorm for the entire body, our Vichy Shower is of the most memorable spa experiences you will ever have. After a full body exfoliation and massage, water cascades over you for a refreshing full body rinse. After the shower, light oils are applied to nourish your skin. This hydrating Massage incorporates pure oil infused with tropical scents to rejuvenation and hydrate the body into total relaxation. 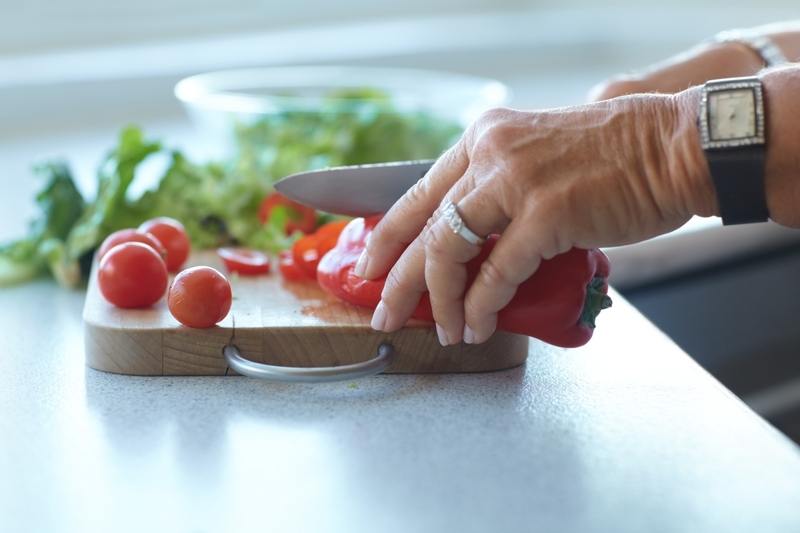 We offer healthy and delicious spa cuisine to enjoy during your visit to Skin Bliss The menu changes with the seasons and always features fresh ingredients. 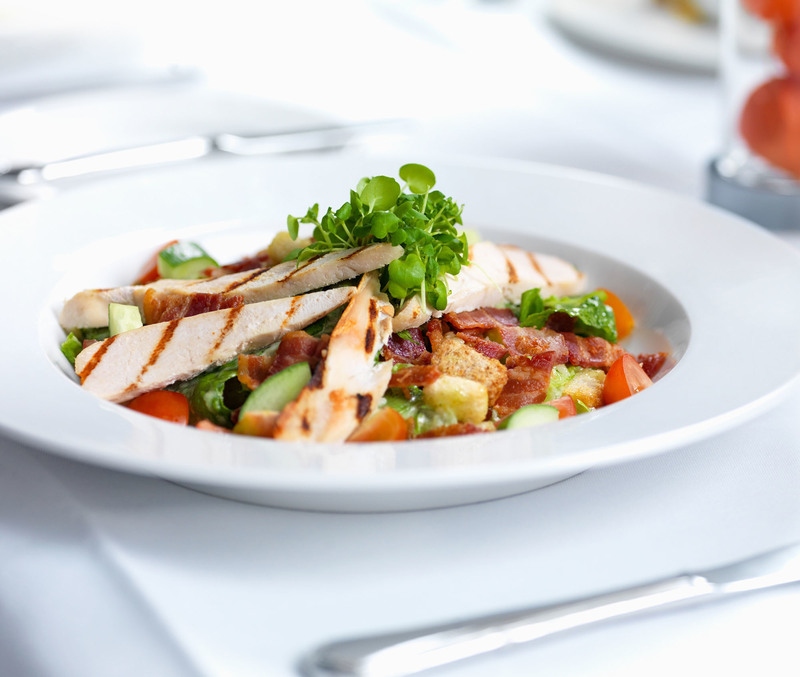 Lunch is easily added to your visit by placing an order at the time you reserve your spa services. 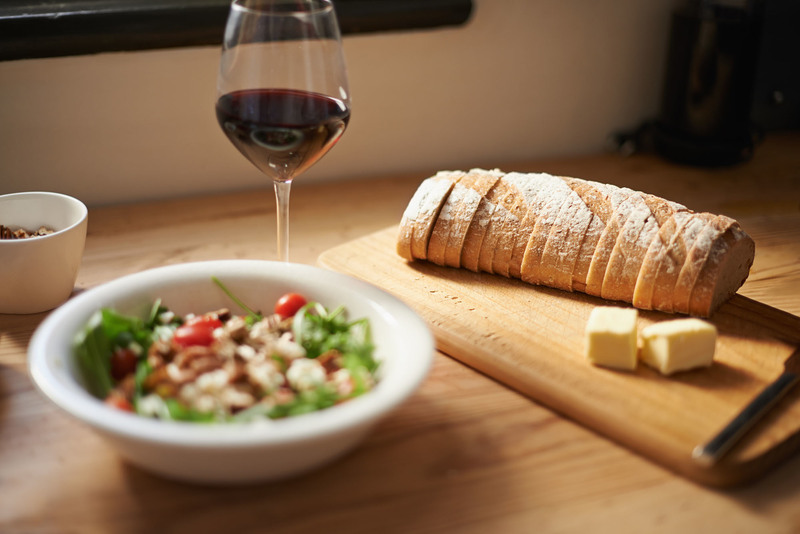 A limited menu is available for orders placed with less than one week's notice, based upon availability. fountain drink, unsweetened, or sweetened tea, lemonade, organic pomegranate melon tea. served with: chips or baked chips with a pickle spear. This has fresh romaine, asiago cheese, croutons and creamy Caesar dressing. It is also topped with marinated chicken breast, and a choice of: fountain drink, unsweetened, or sweetened tea, lemonade, organic pomegranate melon tea. . This salad has premium ham, oven roasted turkey breast, swiss cheese, cheddar cheese, tomatoes, kalmata olives and hard-boiled egg slices on mixed salad greens, with choice of: fountain drink, unsweetened, or sweetened tea, lemonade, organic pomegranate melon tea. All butter croissant filled with premium ham, oven roasted turkey breast, bacon, cheddar and swiss cheese, lettuce and tomato with a choice of: fountain drink, unsweetened, or sweetened tea, lemonade, organic pomegranate melon tea. Served with chips or baked chips with a pickle spear. Penne pasta topped with tomato-basil sauce, marinated chicken breast ans asiago cheese with choice of: fountain drink, unsweetened, or sweetened tea, lemonade, organic pomegranate melon tea. penne pasta topped with creamy alfredo sauce, marinated chicken breast and asiago cheese, with choice of: fountain drink, unsweetened, or sweetened tea, lemonade, organic pomegranate melon tea. GET THE BLISS PAMPERING EXPERIENCE! Skin Bliss Spa is happy to participate in life’s celebrations by creating one-of-a-kind Spa Parties. Packages can include any combination of massage, facials, scalp treatment, skincare, hand therapy, foot therapy, Laser Treatment's, manicures and pedicures for groups of any size. Spa Parties are a GREAT idea for Bridal Showers, Birthdays, Brochettes, Weddings, Girls Night In, Fund Raising Events, Employee Appreciation or simply because it’s good for you! WHAT DOES A SPA COORDINATOR AND HOSTESS NEED TO DO? The party hostess helps Skin Bliss coordinator record and schedule services for guests. It is recommended that the hostess tells their guests to wear comfortable clothing flip flops and Bliss have the robes so you can lounge and drift away as your hearts desire. Expect professionalism and quality assurance. 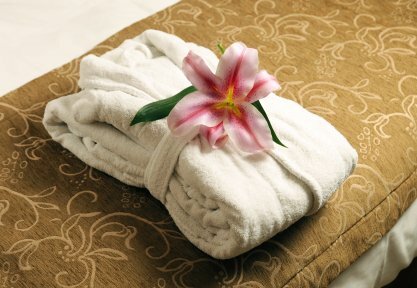 All massage products are professional grade, linens are always clean and therapists are well educated and professional. For modest guests: Massage techniques are available that do not require clothes removal. Techniques such as: Chair Massage do not require removing clothing. Some guests have worn bathing suits during their session's as well. Two weeks prior: you will be able to provide a guest list with choice of services. A Pampered Bliss designer will coordinate a schedule. Pre-payment option is available at this time. Confirmation of services two days prior to party date. The day of the party Skin Bliss Spa will. Spa Rooms will be arranged according to choice of services and available space. Some rooms require more privacy while others may be in the general gathering area. In addition if you are interested in having a spa party at your location, we would be happy to assist you with those spa services as well. This may be the perfect spa package for you and your spa guests. Your Choice of Jasmine Green Tea, Cuccio Milk and Honey, Bliss Chocolate, Pomegranate & Pig, Raw Earth Manicure and Pedicure. Heavenly Unique Spa Manicure & Pedicure. Signature Spa Manicure, Signature Spa Pedicure & Deep Tissue Massage or European Facial. Swedish Massage & Bio Lift Facial. Cucio Milk and Honey Pedicure and Manicure, Rejuvenation Facial and Deep tissue Massage, This package will include lunch. Full Set solar nail Or Shellac Manicure, Escape Exhale & Relax W/ Almond Pedicure and European Facial. -Escape, Exhale and relax with sweet Almond oil Pedicure and Manicure. -Hot Stone With deep tissue Massage. A relaxing Warm Bamboo Massage combined with a luxurious anti-aging Facial Treatment with pearl powder and the calcium valuable minerals, improve toning, evens pigmentation and minimizes the appearance of large pores, hydrating for dull and stressed skin for brighter, firming and healthier. Plus a Treat for Your Feet. Along with your body massage, Warm Bamboo is used to stimulate the foot reflexology points followed by a soothing foot massage using special emollients to leave your feet feeling soft and smooth. This deeply relaxing wellness treatment balances all the body systems leaving you feeling rested and energized. 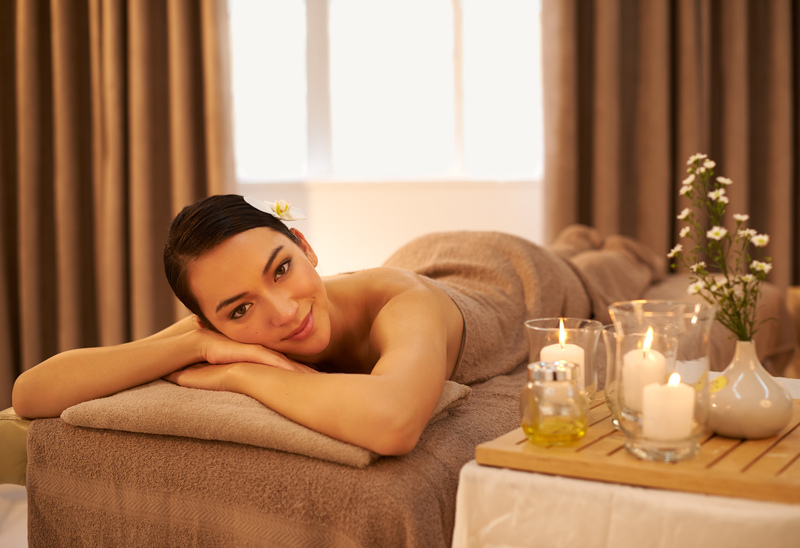 Revitalize with a Warm Bamboo Massage combined with a luxurious anti-aging facial treatment. Vitamins enriched antioxidant creams are gently massaged into the skin using special warm bamboo pieces formulated especially for the face. Hydrates and softens while stimulating rejuvenation of delicate skin cells. The results — radiant, smoother, younger-looking skin to go with your renewed body. Classic Pedicure with additional exfoliation by means of hydrating mask wrapped in steam towels and extra attention of callus smoothing. Combines Classic Pedicure with a foot exfoliation using clinical treatment applied to calluses and softened thereafter with paraffin treatment to richly hydrate. Combines Paraffin Pedicure with extended massage to include hot lava stones. Combines Classic pedicure with delicate Cocoa scrub rejuvenates with its antioxidants vitamin A, E, and avocado to gently remove aging surface cells. Kaolin clay chocolate mask helps draw out impurities while cocoa and Shea butter moisturize, follow with healing therapy lotion is a protein formula with exclusive blend of Collagen, Elastin and Botanical proteins helping to restore essential pluids. It can provide temporary relief of minor aches and pains. Bring your senses to stillness as your feet soak in a real green tea bath to help calm muscles while we exfoliate dead skin with green tea scrub that is applied to feet and lower legs. This treatment soothes your skin, along with a green tea mask wrapped in steaming towels to relax muscle. You then will receive a deep massage with butter cream resulting in calmness and relaxation,Combines Classic pedicure. Combines Classic pedicure with Awaken your senses with this aromatic blend of real fruit slices combined with pineapple sea salt scrub to break down dead skin build-up followed by a thick pineapple mask wrapped in steaming towels. Then receive a deep massage with refreshing pineapple butter and polish for an uplifted and refreshed finish. Combines Classic pedicure with This treatment both smoothes and moisturizes tired feet. Honey is wonderful in protecting and rejuvenating with its antioxidant properties which act as skin rejuvenates, while its hydrogen peroxide properties aid in cleansing. Experience the ancient luxury of soaking in a milk bath and cleansed with Honey Vanilla sea salt scrub to gently remove dead skin and hydrate, followed by an intense honey mask therapy wrapped in steaming hot towels allowing for deeper penetration of moisture. Complete the journey with an emollient milk cream applied by a deep massage. Combines Classic pedicure with Cucumber is well known as natural 'heat decreased.' With fresh cucumber slough and oatmeal that softens rough area at the heels and ball of your feet. Feel refreshed in the calming and soothing effects of the natural slices of cucumber combined with our cucumber sea salt scrub on your lower legs and feet. Transcend to ultimate cooling with a rich cucumber mask wrapped in steaming towels. Finally relax and enjoy our Heavenly Massages followed by the nail polish of your choice. Combines Classic pedicure with Unify with the earth as your feet are cleansed with grains of salt carved from the seasons changes and rich organic raw materials. 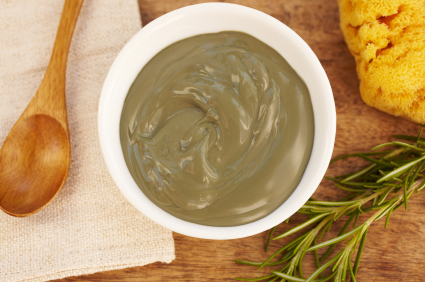 Feet receive further detoxification with a gentle and earthy mud mask. They are then restored with the oats and vitamins hydrating lotion. You will be refreshed naturally and soothingly. Combines Classic pedicure with pomegranate consists of fig sea salts, revitalizing therapeutic cream mask to relax muscle tension. Let the aroma of the exotic fruit fill your senses as we use our healing botanical massage cream to soften your skin and add deep moisture. This pedicure is just like it's name, a high quality product that will pamper you, it's relaxing, soothing,and longest vitamins hydrating butter massage. Your choice of Jasmine Tea /Milk & Honey /Raw Earth / Bliss Chocolate or Pomegranate & Pig pedicure combines with paraffin mask, wrapper in steaming hot towel and massage with Hot Lava stone. Finally relax and enjoy our Heavenly Massage. Our Most luxurious treatment Pedicure! luxuriant salt Scrub to deeply exfoliate and escape even your own sense, a silky mask that deeply conditions and refines the skin, leaving it with healthy, smooth and moisturizing glow and light almond fragrance, contains a whipped blend of Jojoba oil and vitamin E. This combines Wrapped in steaming towels and a warm inviting lotion massage to bring you to an ultimate exhale. Ideal for natural nails. Lasts for about 2 weeks. It strengthens nails while keeping them looking healthy as well as providing an invisible layer to protect your nails and provides long-lasting color. The finish is so flawless that you won't even know it's there. Nails and cuticles are soaked, shaped, and cleansed. Followed by massage and polish. Nails and cuticles are soaked in oil and lotion instead of water to extend polish wear. Classic Spa Manicure combined with a skin renewing exfoliation and paraffin treatment. Extended massage with hot lava stones combined with the Signature Spa Manicure. Your hands will be bathed in an antioxidant green tea solution while nails and cuticles are cleansed, trimmed, and shaped. 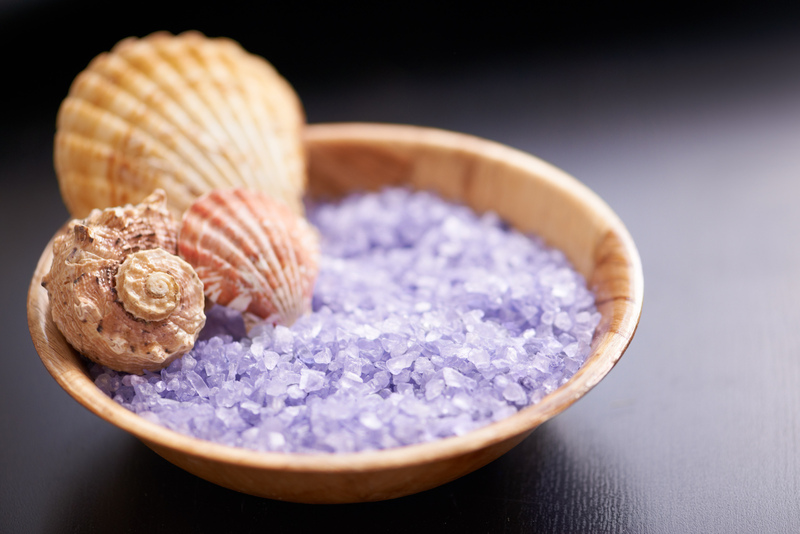 Hands are then treated to exfoliation of dead skin cells using sea salt glow scrub and luxurious massages. A layer of sea butter will then be applied to your hands. When your hands emerge, they will be extra soft and young looking. Rest your senses while your hands soften in a bath of soak and slices of lime. Nails and cuticles are cleansed, trimmed, and shaped. Your hands will then get treated to deeper exfoliation with rich pineapple sea salt scrub followed by an exfoliating mask wrapped in steam towels. Lastly, they will get massaged with light butter oil along with a deep moisturizing benefit of a soothing tropical lotion before applying a desired nail polish color of your choice for a refreshed finish. This treatment will both soothe and moisturize dried hands. Honey is wonderful in protecting and rejuvenating with its antioxidant properties which act as skin rejuvenates, while its hydrogen peroxide properties aid in cleansing. Nails and cuticles are cleansed, trimmed, and shaped. Your hands will receive an enriched vanilla sea scrub followed by a nourishing honey-milk mask wrapped in steam towels. Finally, you will receive a deep moisturizing massage enhanced with honey milk followed with a nail polish color of your choice for a richly moisturized finish. Your choice of Jasmine Tea, Milk & Honey, Raw Earth, Bliss Chocolate or Pomegranate & Pig manicure combines with paraffin mask, wrapper in steaming hot towel and massage with Hot Lava stone. Finally relax and enjoy our Heavenly Massage. Our Most luxurious treatment manicure! luxuriant salt Scrub to deeply exfoliate and escape even your own sense, a silky mask that deeply conditions and refines the skin, leaving it with healthy, smooth and moisturizing glow and light almond fragrance, contains a whipped blend of Jojoba oil and vitamin E. This combines Wrapped in steaming towels and a warm inviting lotion massage to bring you to an ultimate exhale. A relaxing scalp massage followed by Swedish techniques with a focus on neck, shoulders, and upper back, where many carry stress and tension. Provides maximum benefits in a limited time.. Traditional Swedish techniques to relieve muscle tension, increase circulation, and induce a state of total relaxation. A personalized deep tissue massage that helps to release muscle tension and relax specific body areas through improved blood circulation. Stone therapy goes beyond the physical experience of most massages. You will be able to enter deeper dimensions of relaxation and well-being. Heated basalt river stones are placed on specific points to gently warm and soothe. This rhythmic massage thoroughly dissolves tension and calms the spirit. This treatment combination smoothes and moisturizes your back. Honey is wonderful in protecting and rejuvenating with its antioxidant properties which act as skin rejuvenates, while its hydrogen peroxide properties aid in cleansing. Following the cleansing, hot stones will be placed onto your back for relaxation. Heated bamboo massage is a technique for anyone wanting a relaxing and luxurious spa massage or for anyone who needs some serious deep-tissue bodywork for overworked and injured muscles. Throughout the massage, the therapist will use several different warmed pieces of compressed bamboo to work the tension out of each muscle. Long fluid strokes in different styles like Swedish, deep tissue, lymphatic drainage, or neuromuscular therapy are used to stretch and compress the muscle and tissue. The results are incredible. Muscles get looser, joints become more flexible and an amazing sense of well being washes over you .....suddenly the tension is gone! You’ll feel relaxed, renewed and rejuvenated. A unique 'mini' spa facial designed to generate maximum results. So compact that it fits neatly into both your schedule and your wallet. 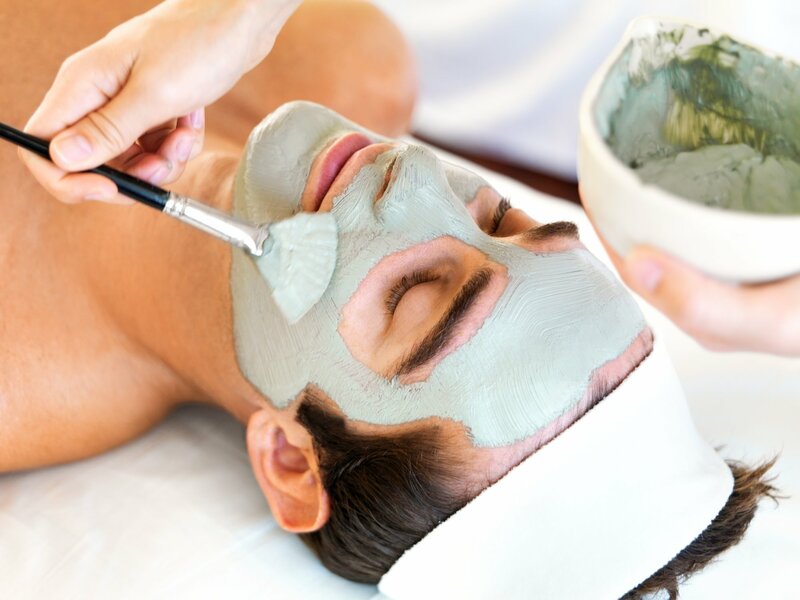 Service includes deep cleansing, exfoliation, massage, mask, and steam to face and neck area. Your skin will be revived and nourished with the most advanced skin care techniques. Enjoy this customized facial combining plant extracts and essential oils, which are carefully chosen according to the needs of the skin. Choose from botanicals like ginseng or nutrients from trace elements. Service includes deep cleansing, exfoliation, massage, mask, and steam to face, neck, and shoulders. Essential oils and plant extracts are combined to create a customized massage and a masque, providing all the nutrients for a healthy complexion. Reveal your new skin based on this dual effect treatment of papaya and pineapple enzymes blended with natural fruit acids of apples, grapes, oranges and lemons to eliminate dead cells and impurities that contribute to a dull complexion, pigmentation marks, and fine lines. This treatment will leave your skin looking and feeling cleaner, fresher, and younger, regaining its luminosity. Recommended in a series of three weekly treatments. The Liftosome treatment will visibly transform the skin within 60 minutes to firm, lift and add radiance with vitamins E, F, C and ginseng. This treatment acts on the skin on two levels: In-Depth, through penetration of the firming active ingredients through a thermal serf-heating masque. Surface, to help tighten, instantly eliminate fatigue, and hydrate the skin, with a high concentration of tightening active ingredients. Utilizing Pumpkin Enzymes, Glycolic and Lactic Acids gently dissolve dead surface skin cells. This deep exfoliant stimulates cellular turnover, increases elasticity texture and tone, improves sun-damaged skin, fights free radical damage, unclogs pores and reduces acne to reveal radiant skin that is supple and naturally hydrated. This is a treatment for people serious about improving their skin. Best when done in a series, but great results from one treatment. Can be used to treat skin conditions all over the body. This treatment is for those serious about improving their skin. Acne is visibly reduced within days after treatment as it softens and helps in the removal of stubborn blackheads and clogged pores. This treatment triggers the production of new collagen and elastin and, as a result, helps to erases fine lines and wrinkles, evens out skin discoloration and improves skin texture. Deep cleansing, exfoliation, massage, mask and steam to back, shoulders, and upper arms. This nourishing lip treatment features all the benefits of deep sea collagen and plant essences. 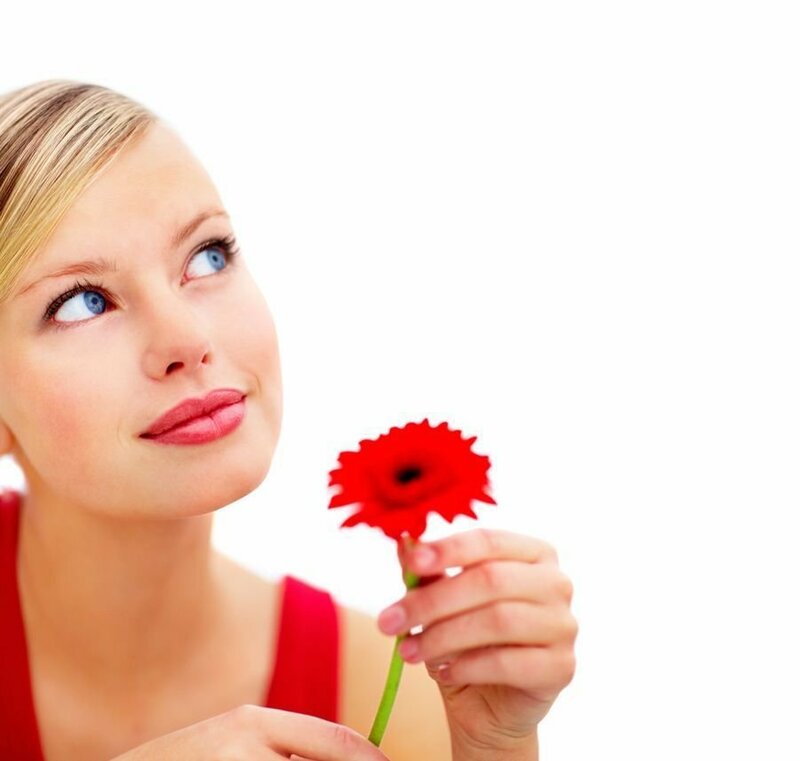 Its preventive anti-aging properties help regenerate the skin on and around the lips. Moisturizing doses of vitamins and rose oil conditioning to ensure a lusciously smooth ~ Soft and Supple ~ Diminish Fine Lines ~ Revitalize and pump pout. Provides lift and resiliency to delicate tissue surrounding the eyes. This anti-aging eye treatment stimulates skin's natural repair functions. Restores natural moisture and provides firmness to the delicate muscles around the eye area. It reduces fine lines, wrinkles, and rejuvenates the eye contour. Multifunction anti-aging Red wine Resveratrol treatment instantly hydrates the vulnerable eye area. It aggressively works to repair the look of lines and wrinkles while reducing dark circles and puffiness for an overall younger look. This strengthens the skin's moisture barrier, tightens,and revitalizes the delicate skin around the eye. This high potency eye mask provides amplified lifting and reparative benefits to the delicate skin under the eyes. It firms and hydrates the skin, increases elasticity, and diminishes lines and wrinkles. The highly effective blend of ingredients and delivery system ensure maximum absorption for noticeably more youthful appearance. The rich antioxidant green tea collagen treatment smooths the eye contour while lifting and firming~ smooth and moisturize ~ revitalize and refresh ~ reduce puffiness and fine lines the skin under eyes. It deflates bags, minimizes wrinkles, and fades dark circles, leaving the eye look younger and more radiant. At Heavenly Unique, we provide many different types of artifical nails, Nail Arts, 3D design, Hard Gel. We used higher quality products as OPI, CND, Orly , Essie, much more.......We invite you to come in let us take care your nails. Let us be a part of your special event and have your makeup applied by our highly trained and experienced certified Makeup Artist. 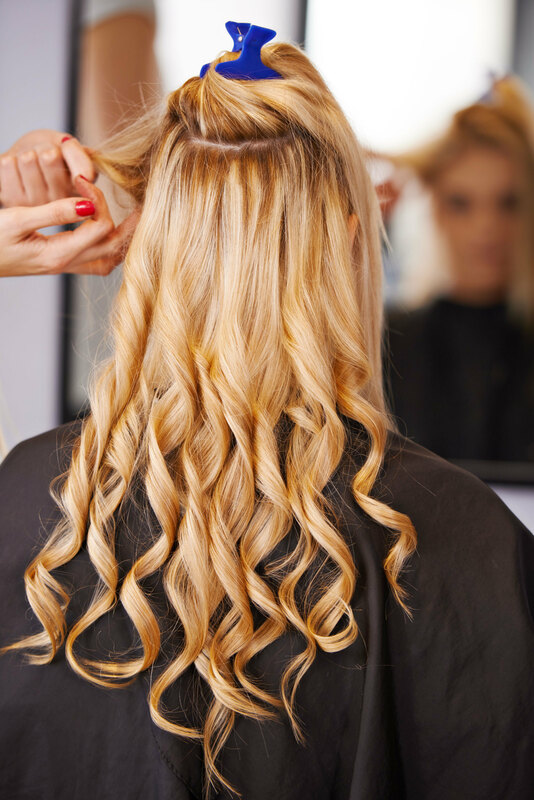 Further, our very talented and efficient hair stylist, who is a 20-year veteran, can surpass your expectations with glamorous updos and chic hairstyles to ensure completion of your look. Our team of experts will have you feeling like royalty as we prepare you for "the royal ball." European Facial, Eyebrow Waxing or Threading, Solar Set (PINK and WHITE), Milk and Honey Pedicure, Makeup Application, and Updo. European Facial, Eyebrow Waxing , Solar Set (PINK and WHITE, Milk and Honey Pedicure, Makeup Application, and Updo. Let us treat Dad like royalty with the Gentleman's Heavenly Pedicure. Atop his Pedicure Throne, Dad will experience deep relaxation as the tension is massaged away from those tired legs and feet. Fresh, smooth skin will be revealed after superior exfoliation and the calluses removed. This unique treatment will leave Dad feeling refreshed inside and out! Wouldn't he love a deep tissue massage without the soreness? The solution is the Bamboo Fusion Massage. Each piece of bamboo is carefully hand-crafted and shaped to safely and smoothly glide over the body, allowing us to roll and knead away the aches and pains of everyday stress. Dad or Hubby will love 60 minutes of relief and relaxation! Be revitalized, refreshed and relaxed by this luxurious journey.The Ultimate Experience for stress relief for your muscles and hydration for your skin . The Signature Spa Manicure, Signature Spa Pedicure, & Deep Tissue Massage. Recuse is the perfect atmosphere for to share some quality time our side by side with ~ Heavenly Unique manicure and pedicure package where the two of you can relax and enjoy the special day. What man doesn't want a special treatment, so share it with the most important in your life! He will receive a Bamboo massage therapy 80 min, Bamboo Bliss facial(60 min), Hot Stone Pedicure, Hot Stone Manicure and power lunch. Waxing is a method of semi-permanent hair removal which removes the hair from the root. New hairs will not grow back in the previously waxed area for two to eight weeks. We can wax almost any area of the body and offer waxing services for both men and women, If waxing is done regularly for several years, permanent hair reduction may be achieved. A great wax, a good technique and having an experienced Esthetician can make the all the difference in the quality of your waxing service. Just like skin, all hair is not the same. Genetics, how often you shave, how much hair you have, your body size all are factors in the time it takes to remove hair effectively and thoroughly. We are waxing professionals and always have a licensed Esthetician or Cosmetologist on hand to complete your waxing service. There are sadly places that offer waxing services that are not licensed or trained. These places are performing services illegally so we urge you to make sure to see their individual Esthetic or Cosmetology license (not just the businesses license) prior to using their services. Waxing areas should be clean and maintained at all times. Most importantly a high quality wax must be used – one that adheres to the hair follicle and not the skin thus for a less painful experience. A bad wax can cause tears, leave the skin sticky and make hair removal very painful for the client. We use multiple types of wax. We offer soft wax with strip removal and hard wax. If you're a first time waxer be confident that you're in the hands of a professional and very compassionate waxer. We will discuss your different option for hair removal and analyze the best choice for you in your waxing experience and help make it a good experience for you. Please don’t hesitate to come in for a free consultation. Over indulging in Fiesta and need a little pick-me-up to get you looking and feeling your best? Time for our Fiesta Refresher Package. The massage treatments at A.R.T. Massage Body Spa can be one or a combination of any of the following techniques: Swedish, Deep Tissue, Trigger Point, or Sports. Enjoy a massage along side your partner, mother, daughter, or friend. Perfect for anniversaries, birthdays, or girls-day-out. Take your senses to a new level and find the aroma that's meant for you through an aroma journey. Treatment includes an aroma facial massage and aroma warm towel foot wrap with the selected essential oil blend. The essential oils are massaged into the skin, inhaled directly, and diffused to scent the entire room. Essential oils can affect the mood, alleviate fatigue, reduce anxiety and promote relaxation. This massage is performed in the same manner of a general massage session, except with the use of temperate stones. Allow the deep, penetrating heat of volcanic basalt stones to melt the tension away. Relax while the therapist adds heat to the muscles, which enhances relaxation and circulation. Clients who have had a stone massage often convey feelings of deep relaxation followed by rejuvenation and increased energy levels. Treatment includes: Full Body Dry Brush Treatment, SpaRitual Back Scrub, Hand Scrub, Foot Scrub, SpaRitual Foot Masque/Wrap, Herbal Steam Treatment, Facial Massage, 60 Minute Massage with choice of SpaRitual Body Butter or Oil. This package includes: A Full Body Dry Brush Treatment, SpaRitual Foot Masque/Wrap, Herbal Steam Treatment, and 60 Minute Massage Treatment. 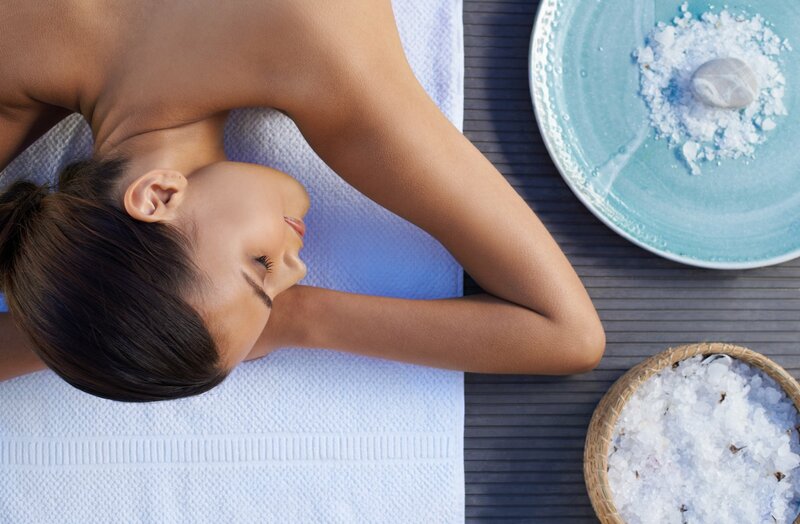 This package includes: SpaRitualBack Scrub, Foot Scrub, Foot Masque with Wrap, Facial & Scalp Massage, 30 Minute Back Massage with SpaRitual Body Butter or Oil, and a 20 Minute Foot Massage with SpaRitual Sole Mate Balm. Full body polish with SpaRitual Salt Scrub, 20 minute Steam with Herbal Blend, Scalp and Face Massage, a 30 MINUTE MASSAGE w/ SpaRitual Body Butter or Oil. Full Body Polish with SpaRitual Salt Scrub, 20 Minute Steam with Herbal Blend, Scalp and Face Massage, a 60 MINUTE MASSAGE w/ SpaRitual Body Butter or Oil. Go natural! Experience mother nature at her best with Eminence Organics Facial line from Hungary. These facials offer a truly exquisite experience. 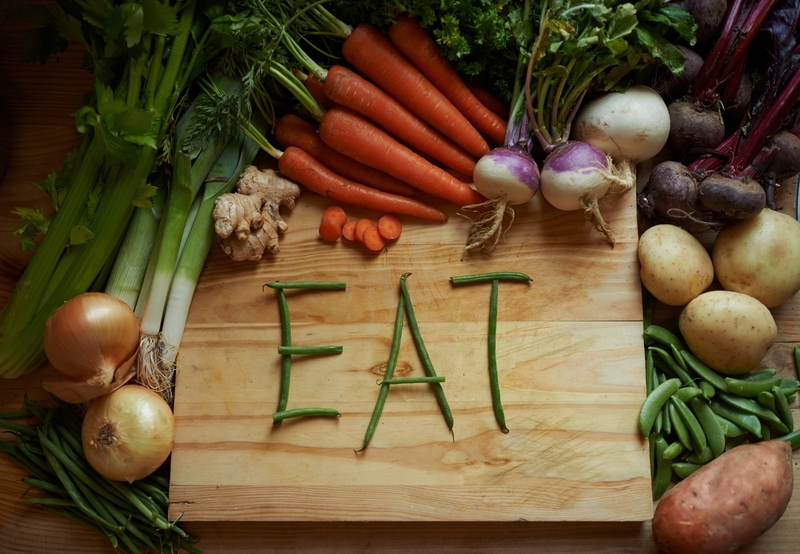 The products are handmade from all natural fruits, vegetables and spices. Each facial will be created uniquely for your skin type and may involve one to four masques. The scents will please you and the therapeutic effects will convince you. Brighten, Frim, Calm or Clear your skin with your next facial! Be the first to try the next, big advancement in Facial Peels. Self neutralizing, and free from recovery time, these Peels amp even the busiest on the go faces! Are you receiving the most brightening, lightening and tightening benefits for your skin? Let our masterful Facial Therapists bring you instant radiance with a dynamic Vitamin C infused facial. Leaving your skin revived and renewed in only 30 minutes! Continue the benefits with Eminence Organic Skin Care's most advanced anti-aging product yet. So packed with Vitamin C, you will witness the results in only 28 days! Are you receiving the most brightening, lightening and tightening benefits for your skin? Let our masterful Facial Therapists bring you instant radiance with a dynamic Vitamin C infused deluxe hour long facial. Leaves your skin revived and renewed! Continue the benefits with Eminence Organic Skin Care's most advanced anti-aging product yet. Rosehip Triple C+E Firming Oil is so packed with Vitamin C, you will witness the results in only 28 days! Reset your skin with the perfect peel treatment that meets your skins needs. No other word describes this treatment better than LUXURIOUS! One of the only moments in life when time is on your side! This lengthy facial allows ample time for a deep pore cleansing and is tailored to suit your skin's wants and needs. 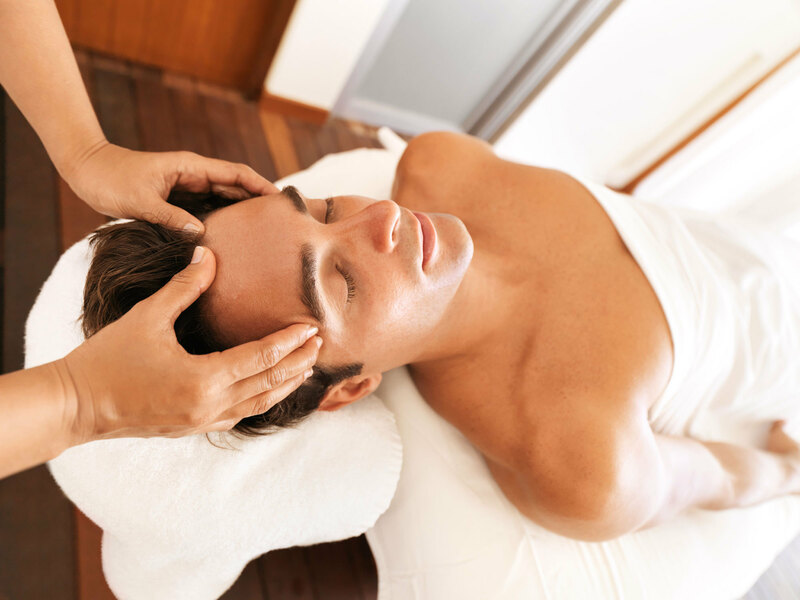 During this treatment you will also enjoy a relaxing massage to the arms, hands, lower legs, feet, neck, and scalp. -cutile care, nails trimmed, and polish of choice. -cutile care, nails trimmed, and Shellac polish of choice. -nail/cuticle care with Shellac polish. This amazing SpaRitual foot treatment includes: a series of hot, moist towel wraps, an aromatic scrub to the feet and lower legs, a foot masque, foot serum to remove rough skin, nails trimmed and buffed, and polish of choice. This pedicure includes everything the A.R.T. Signature Pedicure includes but uses Shellac Polish instead of the regulare polish. Nail color can last up to 14 days with no chipping! **Please let spa reservationist know if you will be needing Shellac removed prior to Shellac Pedicure, this procedure takes another 10-15 minutes. If you are getting a Shellac Pedicure, the removal fee is waived. Treament includes everything that comes with the A.R.T. Signature Manicure except substitutes the polish with Shellac. 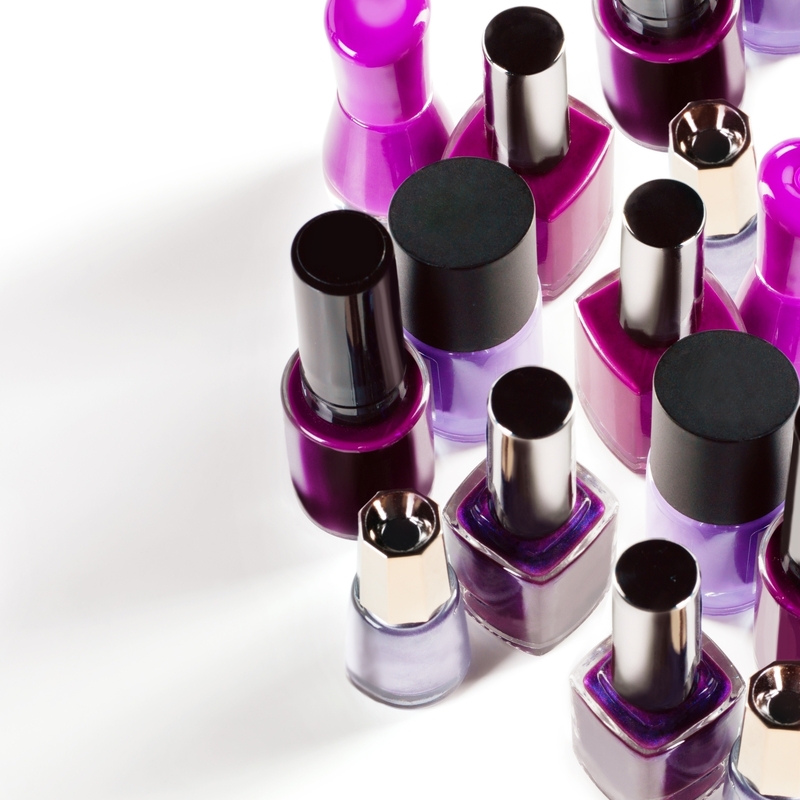 Nail color can last up to 14 days! Please let spa reservationist know if you will be needing Shellac removed prior to Shellac Manicure, this procedure takes another 10-15 minutes. If you are getting a Shellac Manicure, the removal fee is waived. Removal of existing Shellac polish. Soothe and moisturize your hands with a hand paraffin treatment. Soothe and moisturize your feet with a foot paraffin treatment. Adorn your nails with a piece of art that represents you. Adorn your toenails with a piece of art that represents you. Adorn your Shellac nails with a piece of art that represents you. Can't get enough hand or foot rubbin? Then this add-on is just want you need to give your treatment a little more umph! Add-on to your mani or pedi for that French look? This amazing application is rich in vitamins and fatty acids to help hydrate, condition and soften the skin. Natural bristle brushes are used to brush the skin from head to toe. Great for toning, exfoliating, improving circulation and the Lymph system. Steam away your stress with a 15 minute herbal steam treatment. Exfoliation of the feet using a blend of salts in an oil base to effectively exfoliate, moisturize, and soothe. Made with Certified Organic Ingredients, this foot masque will gently exfoliate and refine the skin. Contains Diatomaceous Earth (Micro-Algae) to smooth rough areas and exfoliate dead skin cells, Retinyl (Vitamin A) Palmitate to exfoliate, renew, lighten and stimulate collagen production, and Shea Butter to deeply hydrate and increase moisture retention. Exfoliation of the hands using a blend of salts in an oil base to effectively exfoliate, moisturize, and soothe. Exfoliation of the back using a blend of salts in an oil base to effectively exfoliate, moisturize, and soothe. Made with Certified Organic Ingredients, this back masque will gently exfoliate and refine the skin. Contains Diatomaceous Earth (Micro-Algae) to smooth rough areas and exfoliate dead skin cells, Retinyl (Vitamin A) Palmitate to exfoliate, renew, lighten and stimulate collagen production, and Shea Butter to deeply hydrate and increase moisture retention. Made with Certified Organic Ingredients, this hand masque will gently exfoliate and refine the skin. Contains Diatomaceous Earth (Micro-Algae) to smooth rough areas and exfoliate dead skin cells, Retinyl (Vitamin A) Palmitate to exfoliate, renew, lighten and stimulate collagen production, and Shea Butter to deeply hydrate and increase moisture retention. Made with Certified Organic Ingredients, this hand or foot masque will gently exfoliate and refine the skin. Contains Diatomaceous Earth (Micro-Algae) to smooth rough areas and exfoliate dead skin cells, Retinyl (Vitamin A) Palmitate to exfoliate, renew, lighten and stimulate collagen production, and Shea Butter to deeply hydrate and increase moisture retention. 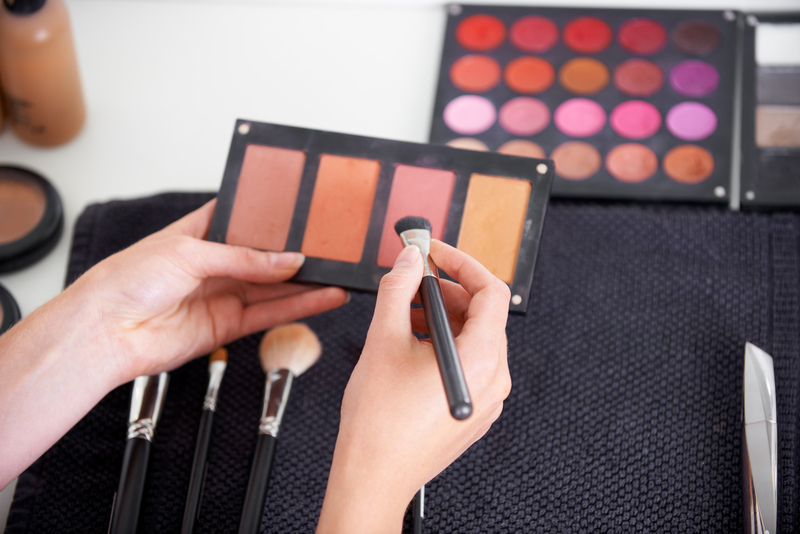 Get the look you love with a Jane Iredale makeup application. Jane Iredale makeup leaves your skin clear, smooth and radiant, now and forever! Relax, Relieve, Rejuvenate Where East Meets West for Health and Beauty: Authentic Chinese Acupressure and Reflexology Acupuncture, Herbal Remedies, GuaSha, Moxibustion, Cupping Therapy, Ear Balls, Lymphatic Drainage, Insomnia Care, Ovarian Care, Tibetan Medicine Steam Bed, Body Scrubs, Slimming Body Wraps, Facials, Back Skin Treatments, Waxing Services... Soak your feet in warm herb-infused water and have our skilled therapists put you to sleep with our signature foot massage! 60 minutes therapeutic Asian-style full body massage. 90-minute therapeutic Asian-style full-body massage. Chinese-style massage with your clothes on; no oils. Features rocking, stretching, and alignments. We call this our half session treatment. We call this our full-session treatment. This is the same as our 40 minute feet reflexology treatment plus 20 minutes treatment on your hands. It's the gift that keeps on giving! Twelve (12) visits, for either our Express Facial or half-hour Body Scrub (recipient's choice). Expires December 31, 2018. See website for full service descriptions. *Full Session Reflexology (70 minutes) with herbal foot soak and hot towel wrap. Allow at least 4 hours for this spa day package.